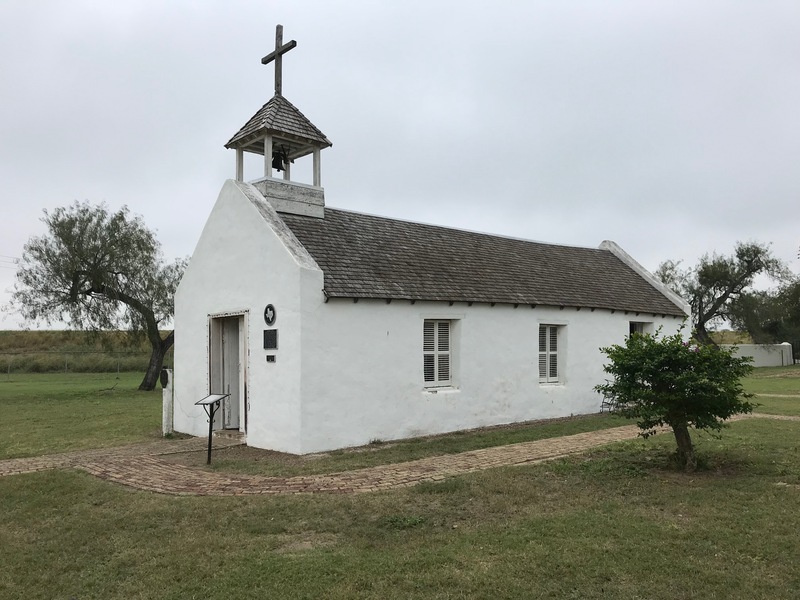 The small white chapel stands on La Lomita or “the little hill” located just a few miles south of the town of Mission. 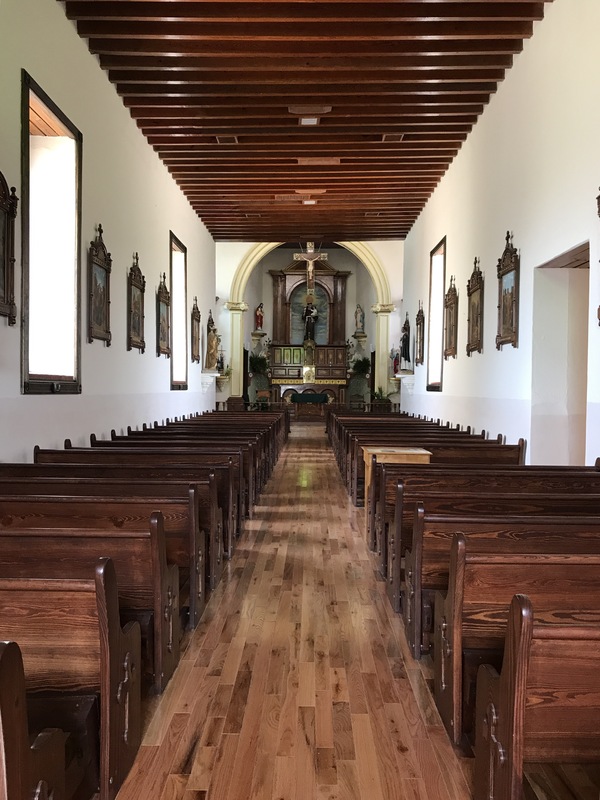 The restored chapel is a reminder of earlier days when the Missionary Oblates of Mary Immaculate (OMI) traveled by horseback up and down the Rio Grande Valley. These circuit-riding padres baptized babies, performed marriage ceremonies, gave last rights, and listened to confessions. 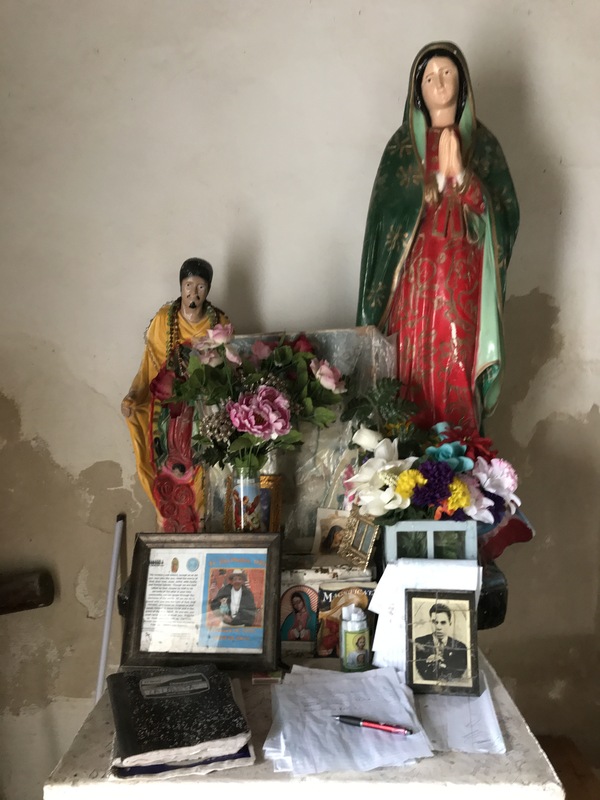 La Lomita played an instrumental role in the spread of Catholicism in South Texas. 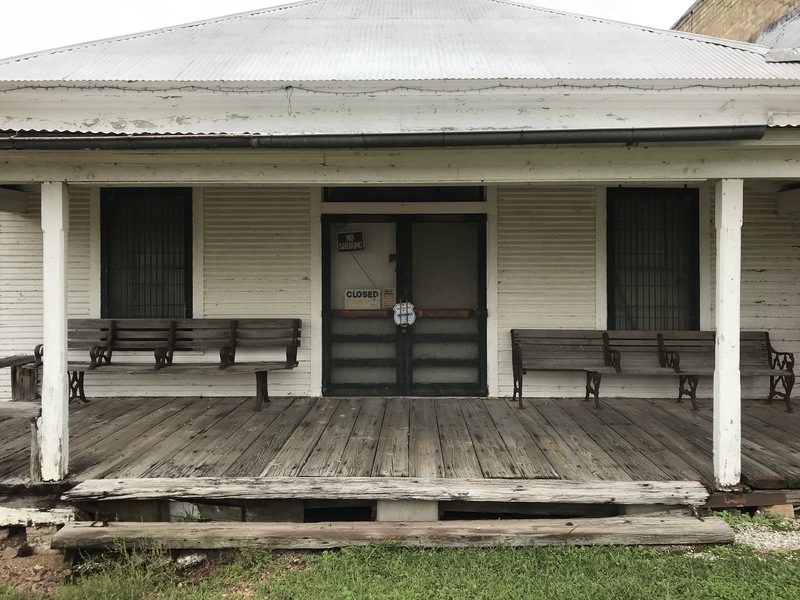 Located between mission centers in Brownsville and Roma, La Lomita became a strategic mission center for what became known as the Cavalry of Christ. These circuit-riding Oblates were some kind of tough. They faced all kinds of challenges and dangers in their efforts to spread their faith throughout South Texas. 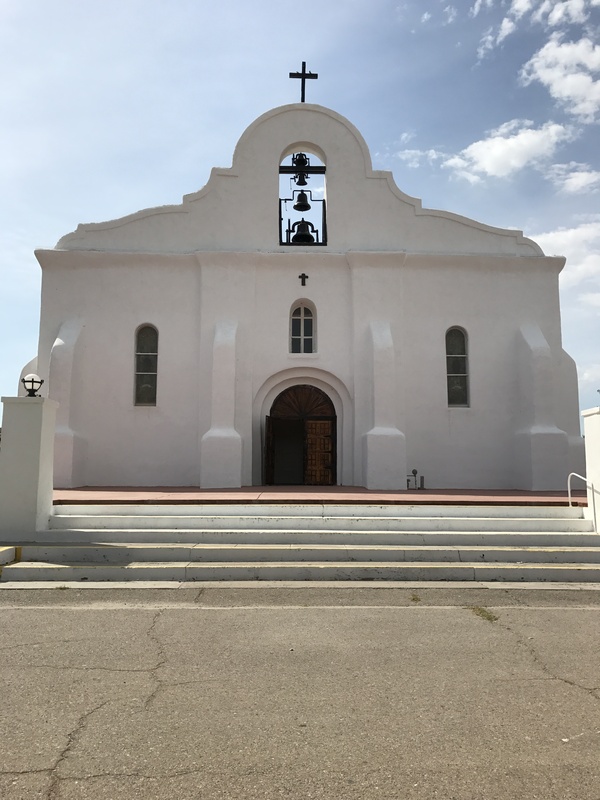 The original chapel, built at a campsite along the Brownsville-Roma Trail, suffered flood damage more than once because of its proximity to the Rio Grande River. That original chapel was washed away by flood waters in 1865 and was rebuilt in 1899 at its present site at La Lomita. Over the years this chapel has sustained hurricane damage and suffered the normal deterioration caused by age. Today, thanks to restoration initiatives, the chapel is in good repair and continues to attract both the faithful and the curious. When my hometown of Mission was founded in 1908, the town was named Mission in honor of the wide-ranging ministry of the Oblates. 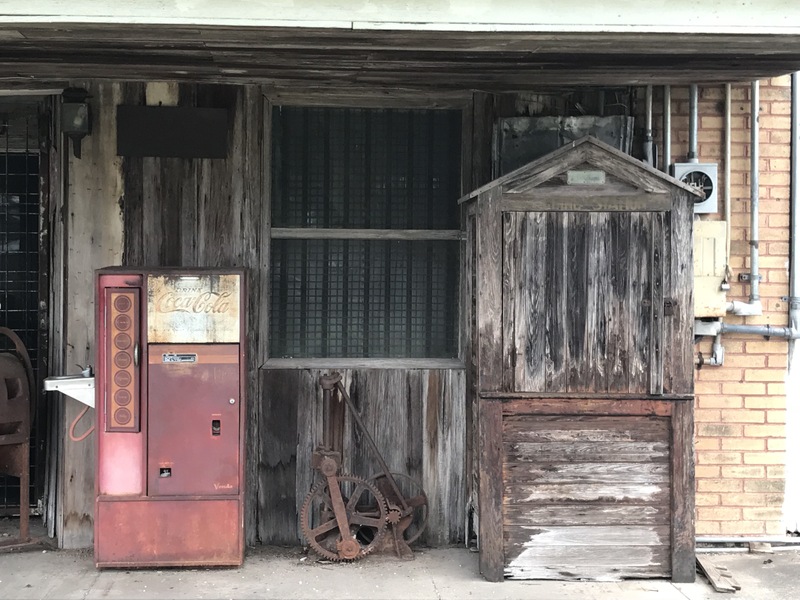 In 1975, La Lomita was added to the National Register of Historic Places, the official list of the Nation’s historic places worthy of preservation. In 1976, the city of Mission added visitor amenities to make the historic La Lomita a family friendly municipal park. Places like La Lomita absolutely stir my imagination. 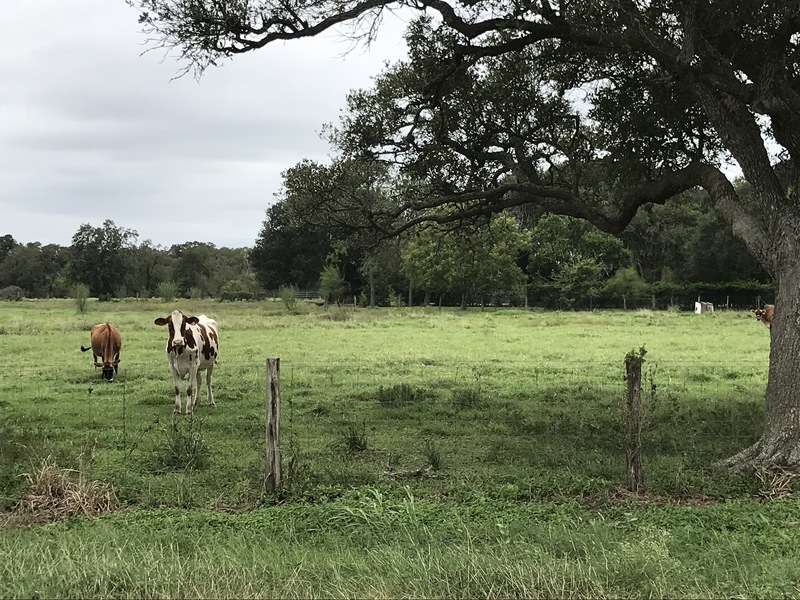 As I walked the grounds I reflected on the hardy ranchers who tamed this southernmost part of the Lone Star State. I also thought about the tough cowboy-priests who rode from ranch to ranch to care for their flock. 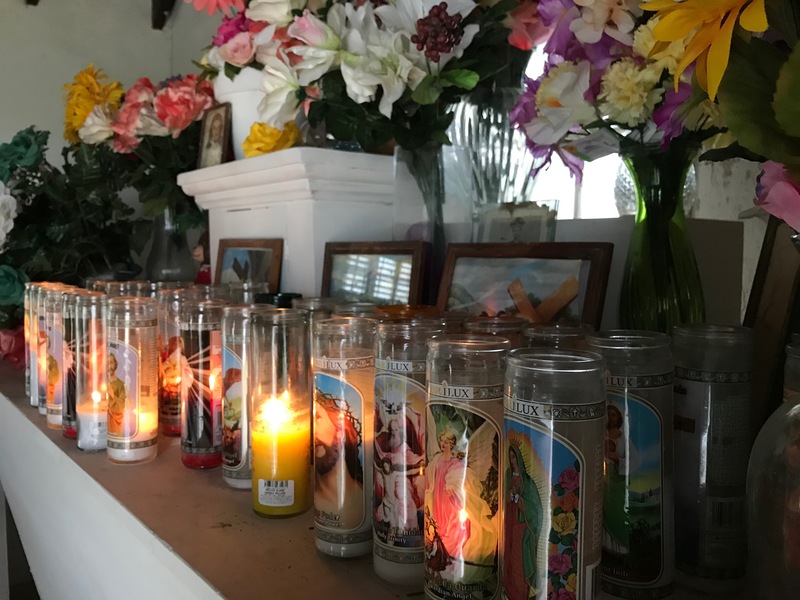 And, of course, I wondered about all who came (and still some) to this little place of worship with their burdens, anxieties, dreams and prayers — who lit their candles as an earnest expression of their hopes for answers and miracles. 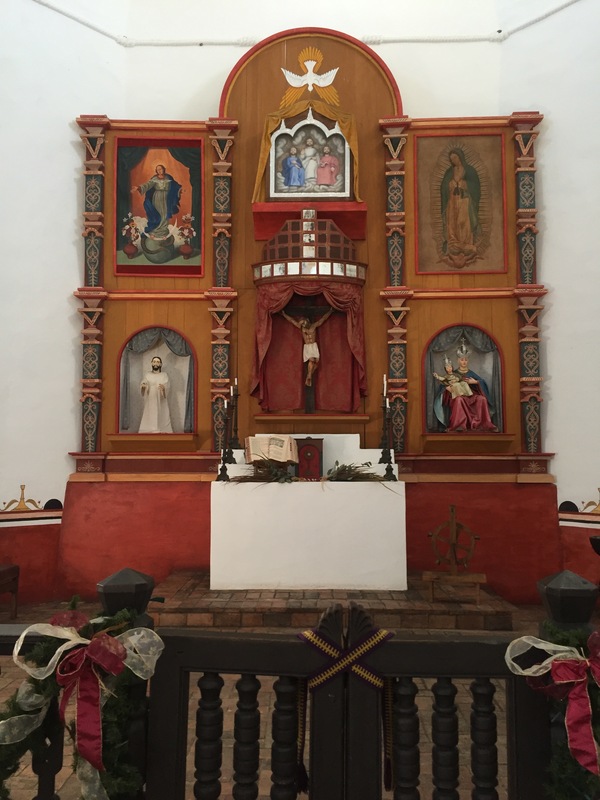 La Lomita, like the Painted Churches and other historical places of worship, is a great road trip destination. Places like this remind us of an important part of our Texas history — the role of faith in the lives of those who settled the Lone Star State. El Paso may not be located deep in the heart of Texas but it is a city with Texas deep in its heart. 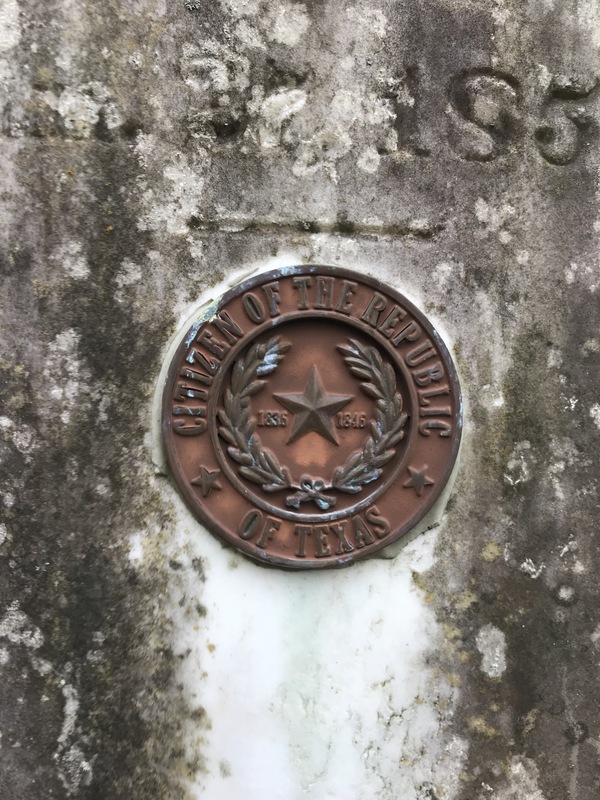 This westernmost city in the Lone Star State is unquestionably rich in history. 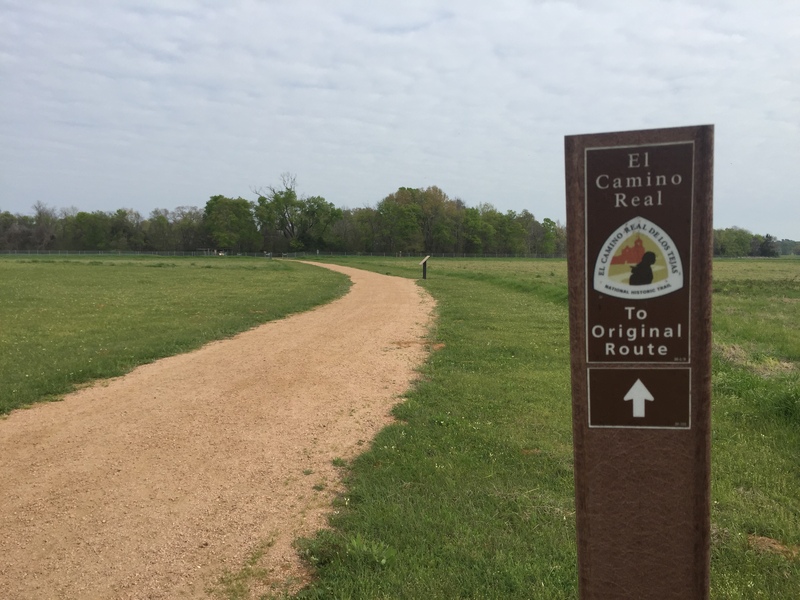 A lot of that history was made along an eight mile stretch of road that was a part of the Camino Real. 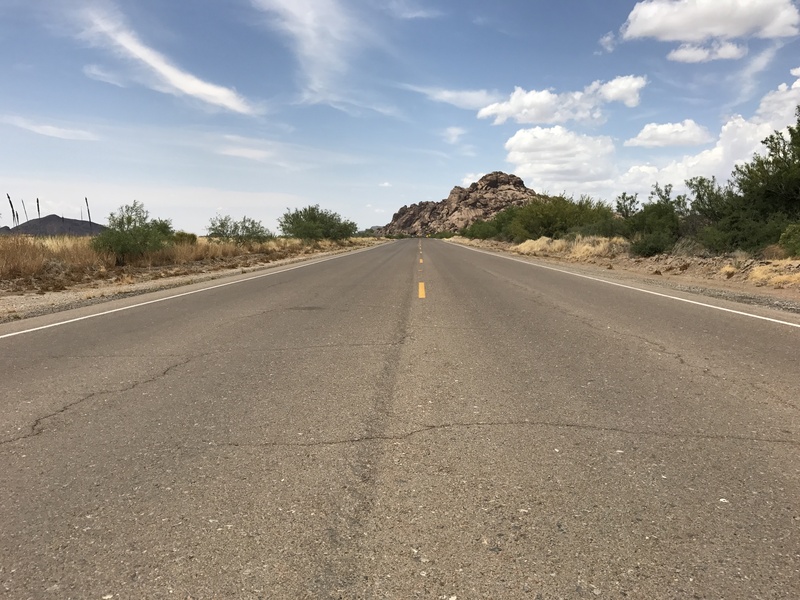 The Camino Real, or Royal Road, was a major route for transporting trade goods from Mexico City and Chihuahua in the South to Santa Fe and Taos to the North. Three of the oldest mission churches in the country were established along this route on the frontier with Mexico. 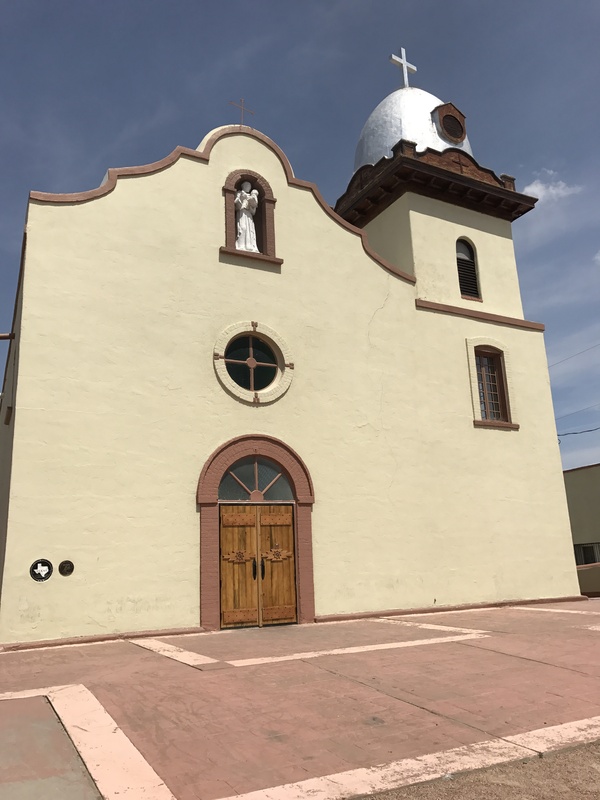 The Ysleta Mission is located closest to present-day El Paso. 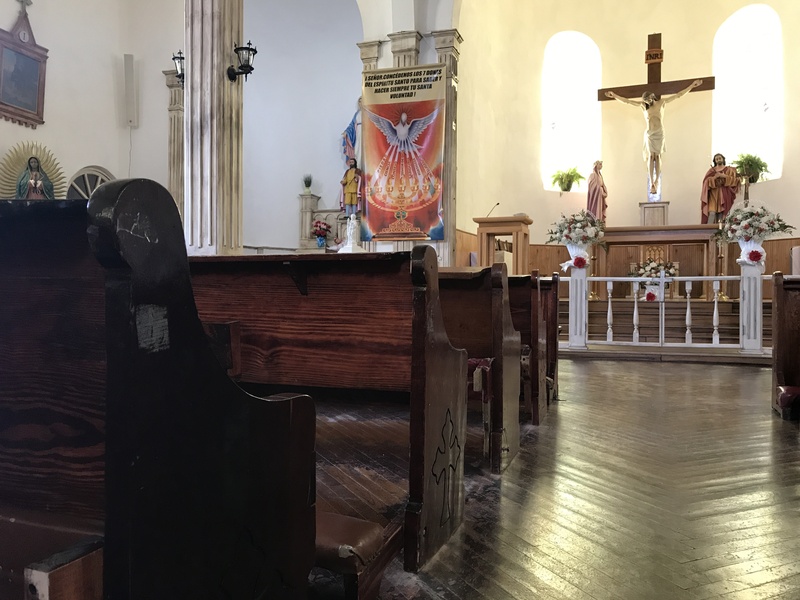 It is the oldest mission in Texas and the second oldest continually active parish in the United States. 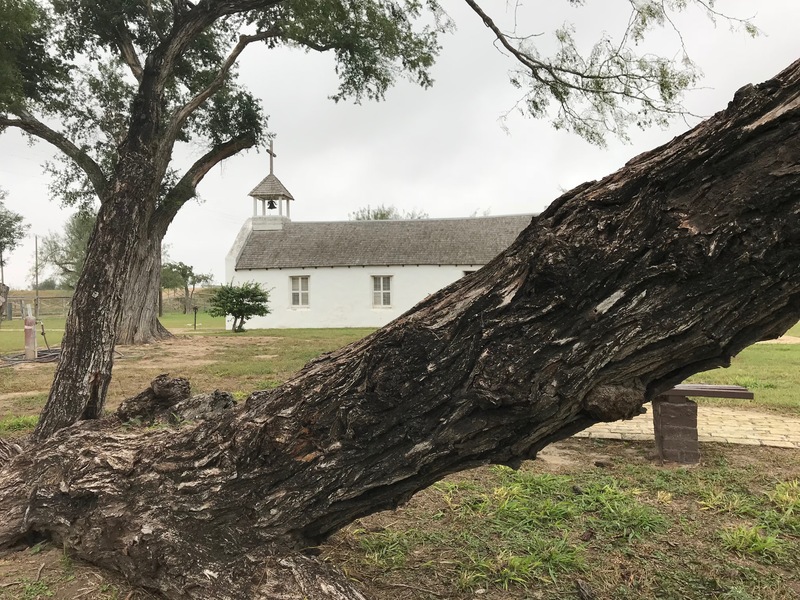 Established in the heart of Tigua Indian territory in 1680, the original mission was made of cottonwood branches and adobe mud. Over the years the building was modified, enlarged, and improved — at times because of damage done by fires and floods. 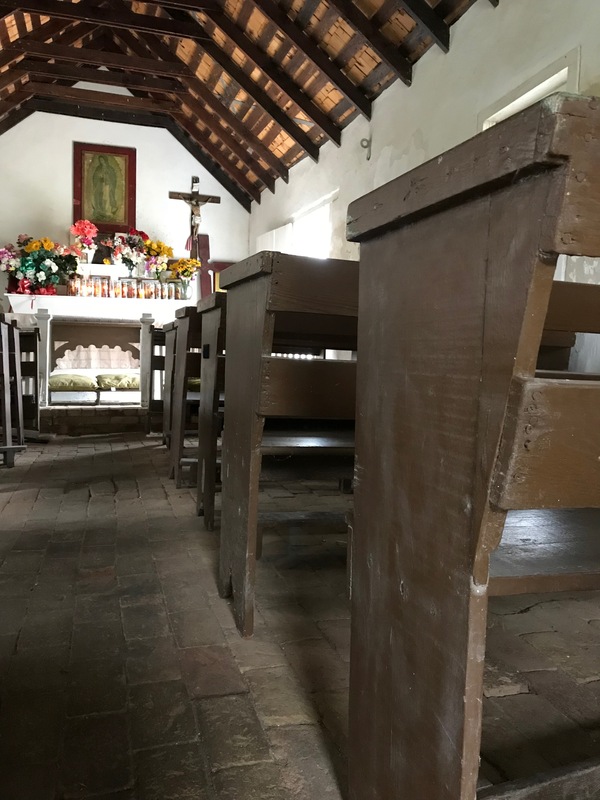 Today, the thick adobe-walled building stands as a testimony to the resolve of parishioners to continue to worship and practice their faith. 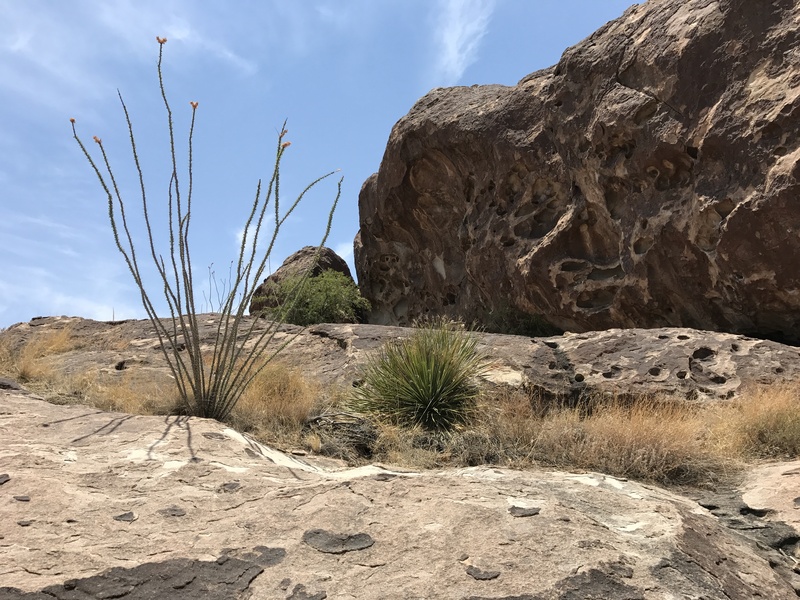 The Socorro Mission is located a short distance to the southeast of Ysleta and is considered the second oldest mission in Texas. Socorro is the Spanish word for help, relief, or assistance. Completed in 1691 to minister to Spaniards and also to the Piro, Tano, and Jemez Indians, this mission continues to live up to its name. Through the years, the building suffered many of the same disasters as the Ysleta Mission. And, like the Ysleta community, the folks at Socorro came to the aid of their parish. The building that stands today was built in 1843 and features design inspired by both the Indians and the Spanish. The carved support beams are made of cottonwood and cypress and were salvaged from the original building. 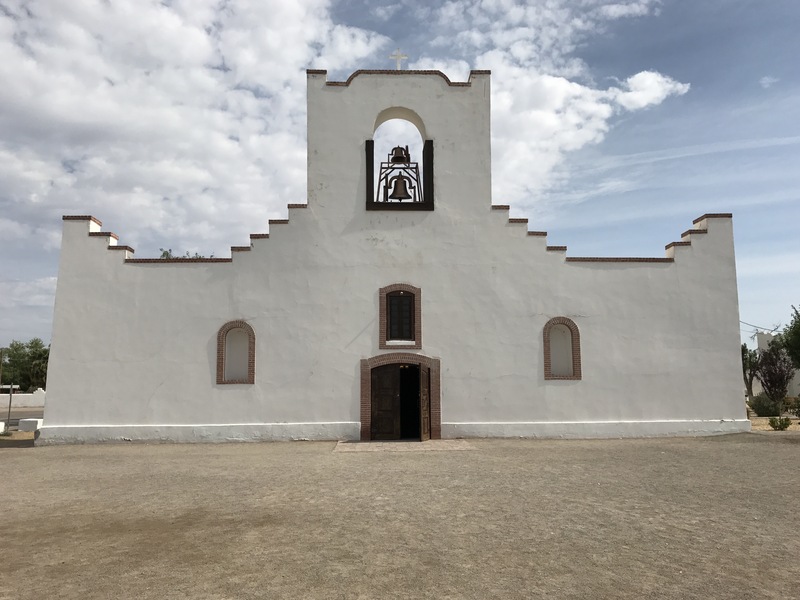 The third mission on the El Paso Mission Trail is the San Elizario Presidio Chapel. In 1789, Spaniards established a presidio or fort to defend the frontier and supply lines. This presidio was named “San Elceario” after the French patron saint of the military, San Elcear. 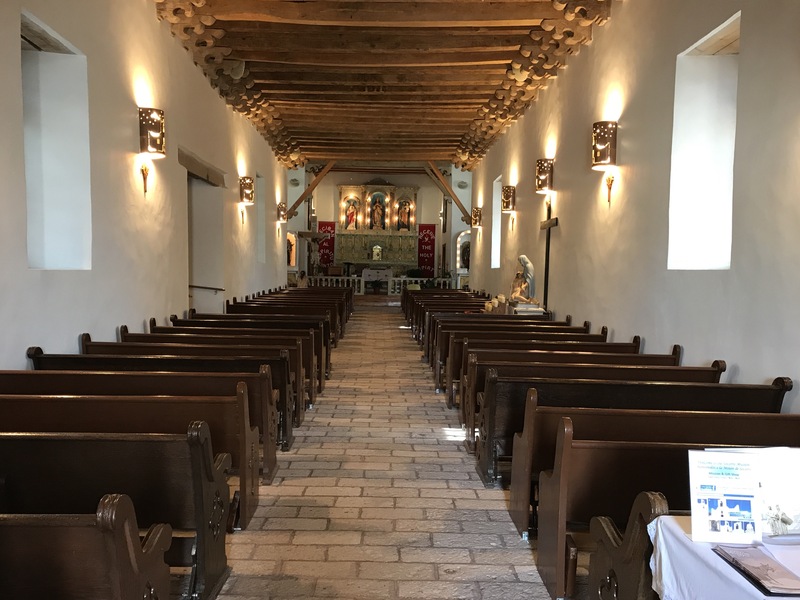 A chapel was built within the presidio walls and bears the same name as the military garrison. 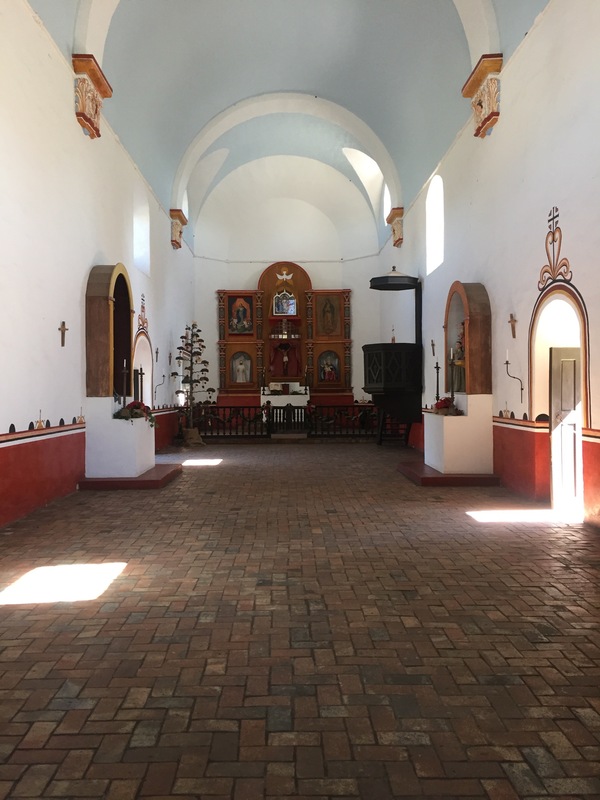 Like the other early mission churches, the architecture of the San Elizario chapel is characterized by the adobe style that has become iconic in the southwest. I love these old structures that have endured for so long and have meant so much to their respective parishioners through the years. 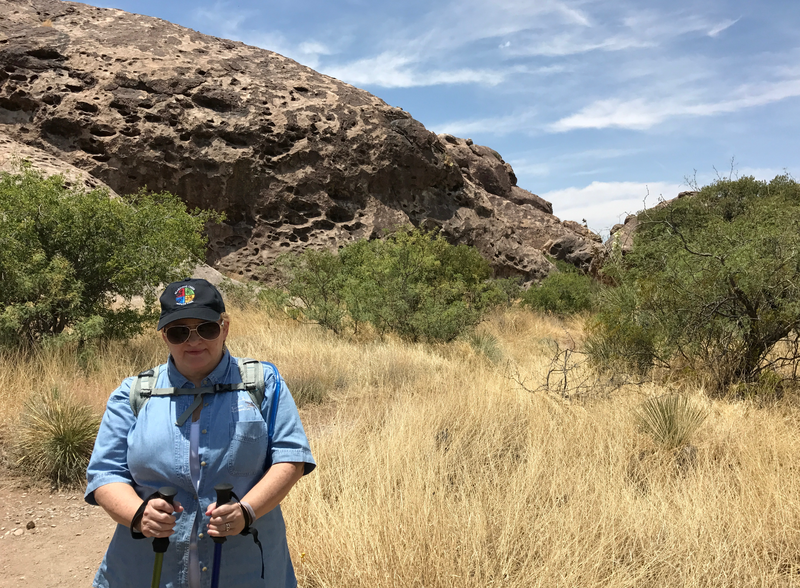 There are lots of great things to do in El Paso, including driving the Mission Trail along Socorro Road. Each of these old missions welcome visitors. 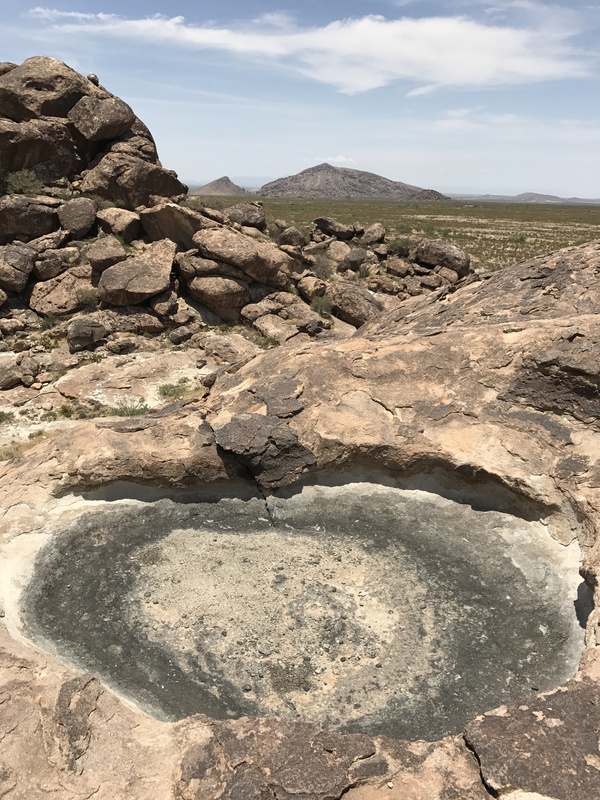 So, add this to your list of Texas adventures. 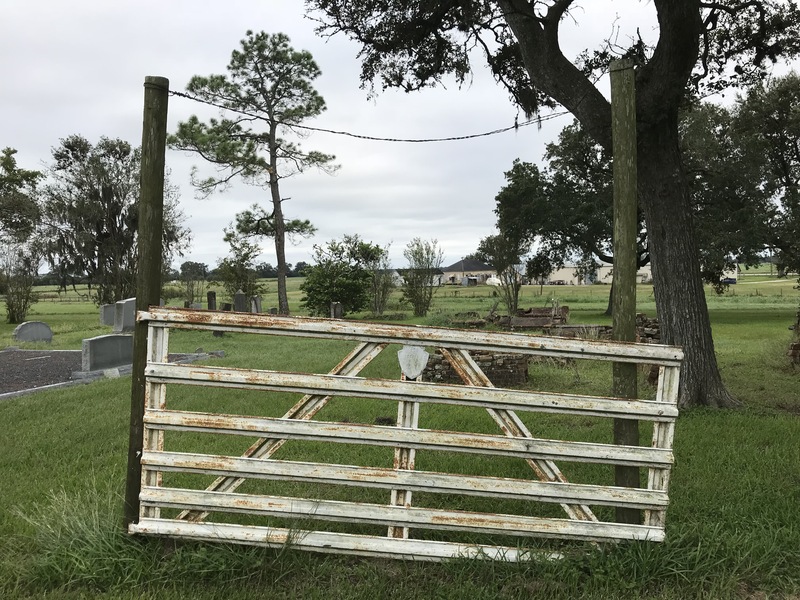 You will enjoy learning about the role each of these missions and their parishioners have played through the years in the development of this part of the Lone Star State. 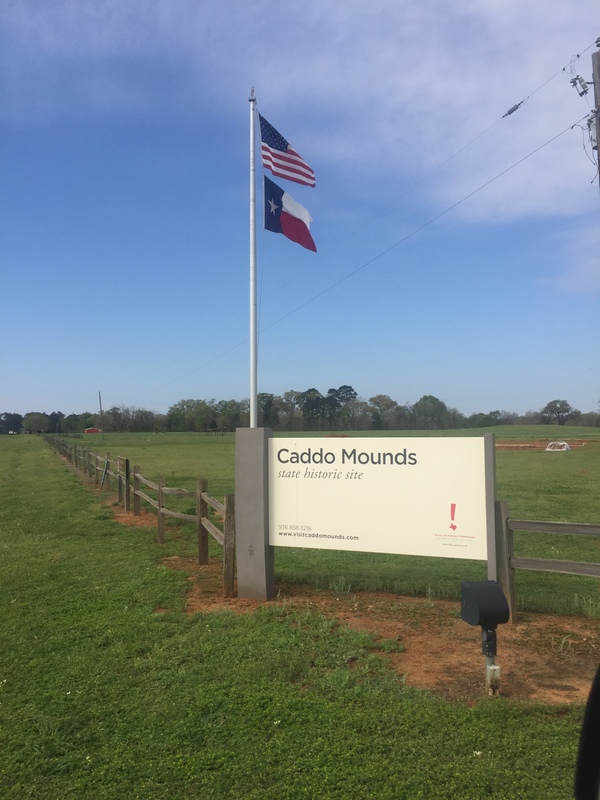 Located 26-miles west of present day Nacogdoches, the Caddo Mounds State Historic Site is one of the more unique historic sites in the Lone Star State. 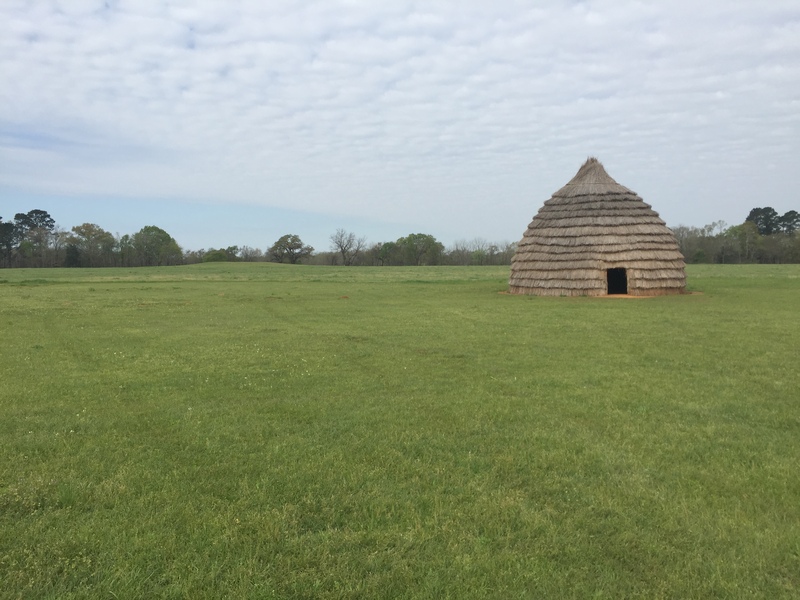 Once the ceremonial center for the Hasinai, a group of Caddo Indians, this site preserves the remnants of this great Mound Builder culture that thrived here more than 1,200 years ago. Those of us who love Texas owe a debt of gratitude to the Caddo. The name of our beloved state comes from the Caddo word “tejas” which means friend. It’s hard to imagine our great State having any name other than Texas. 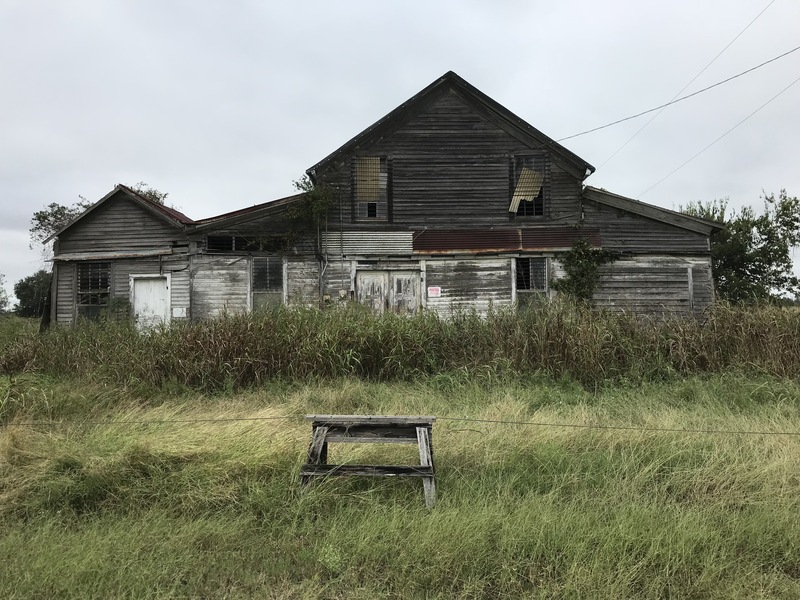 The Caddo selected this site near the Neches River because the soil was ideal for agriculture, the springs that flowed into the Neches provided a reliable source of water, and the surrounding forest yielded lots of food resources. As a result, the Caddo thrived in this region for more than 500 years. 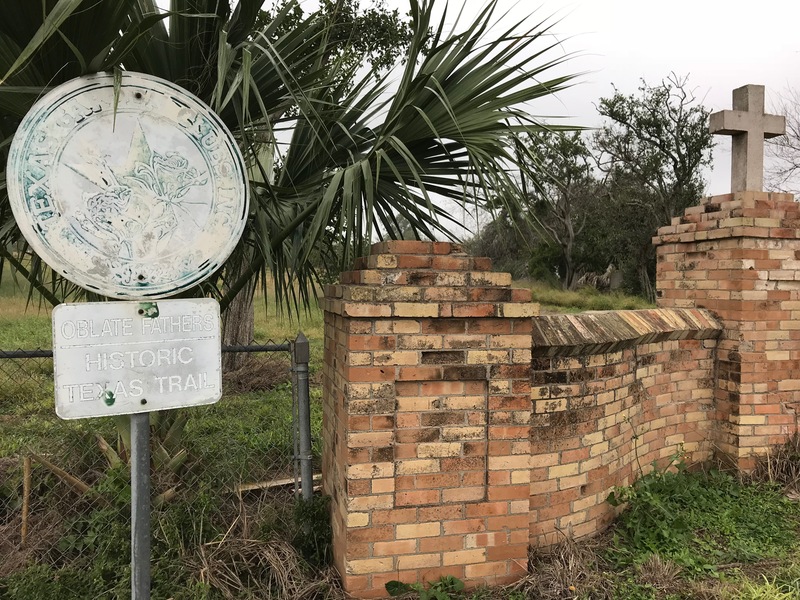 Over time, these native Americans developed trade routes that connected them with other native groups in Central Texas and as far away as present day Florida to the east and Illinois to the north. 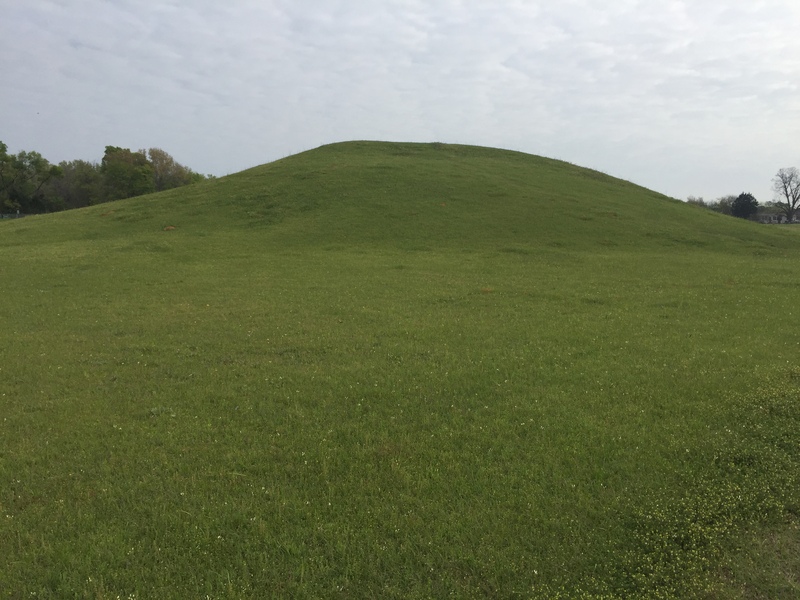 The Hasinai group that inhabited Caddo Mounds was also a part of a larger Caddo domain that encompassed northeast Texas, northwest Louisiana, western Arkansas, and eastern Oklahoma. 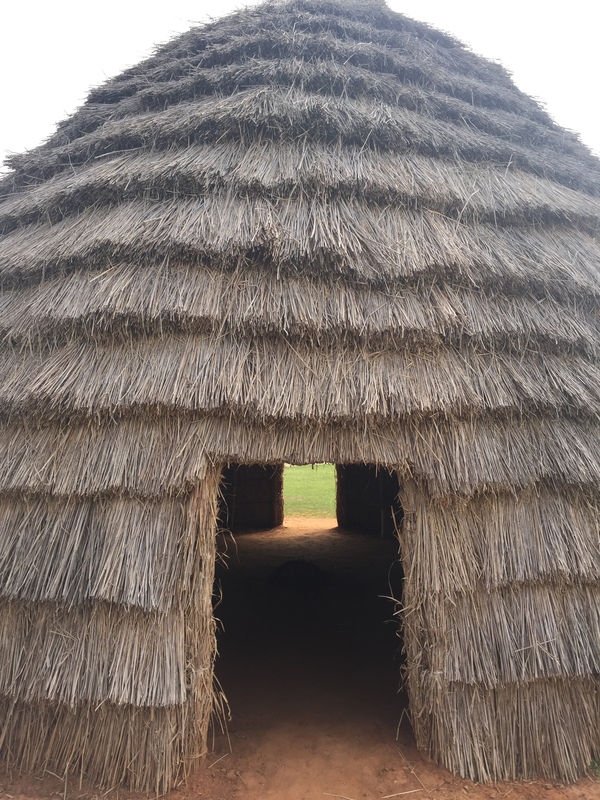 The Historic Site preserves three remaining and distinctive earthen mounds and a replica of a large thatched beehive-shaped Caddo hut made of native grasses. These dwellings were designed to be cool in the summer and warm in the winter. The museum at the site is worth visiting. It features informative displays and artifacts dating from A.D. 750–A.D. 1400, including pottery, tools, and weapons. I encourage you to visit the museum before you walk the 0.7 mile self-guided interpretive trail to see the Caddo’s burial, low temple, and ceremonial mounds. 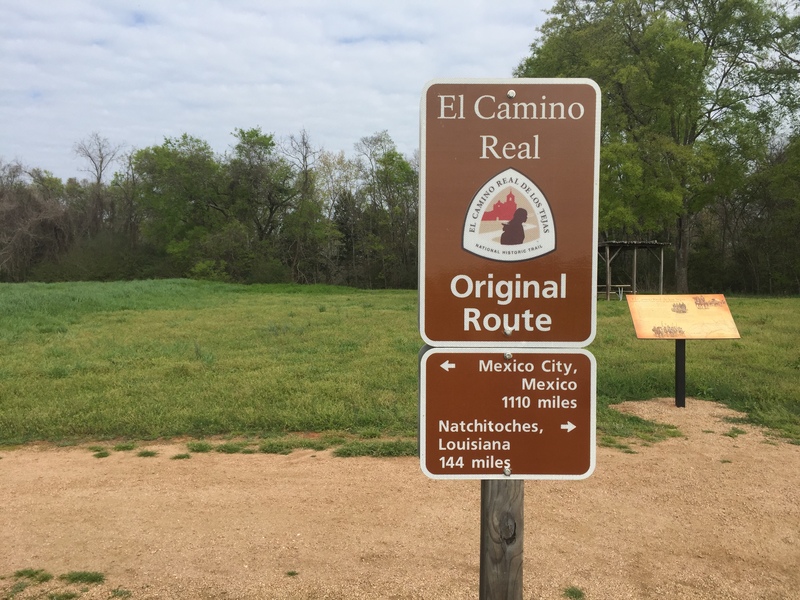 This self-guided trail also leads to a portion of the old El Camino Real de los Tejas National Historic Trail, which runs from Louisiana to Mexico. Caddo Mounds is an excellent choice for a day trip or as a stop on your next East Texas road trip. 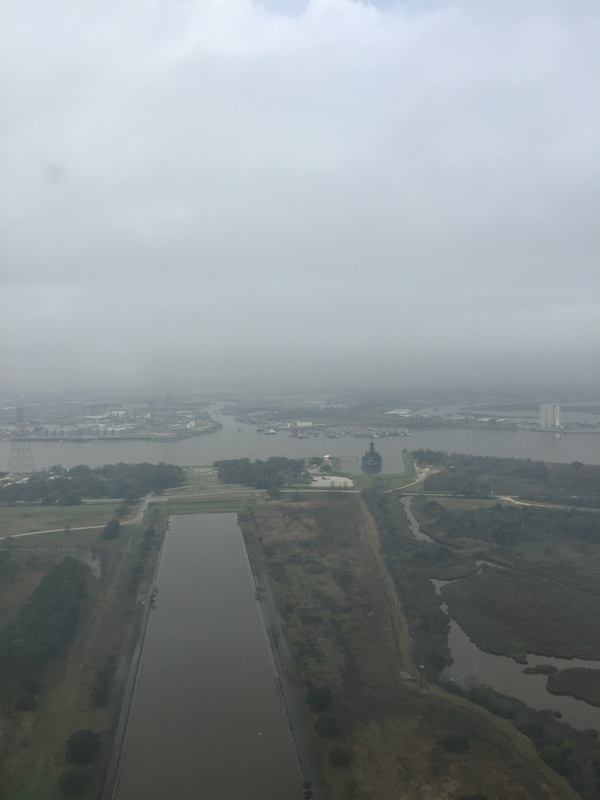 One thing is certain, the Caddo enjoyed our great state long before we arrived on the scene. 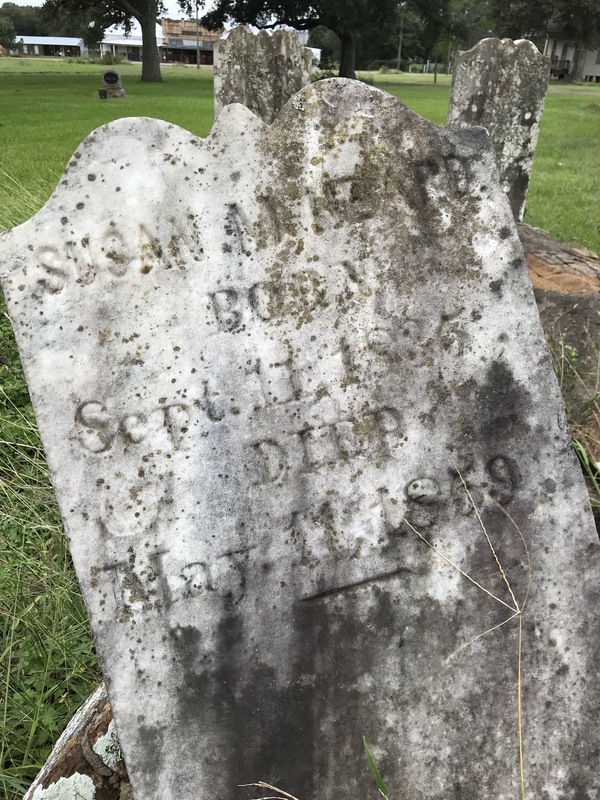 And you will enjoy your visit to this well-maintained historic site. It’s worth visiting and learning about the people whose native language gave us the great name of Texas. Buffalo soldier units served in the 9th and 10th US Cavalry regiments and the 24th and 25th US Infantry regiments. Soldiers from all four of these regiments served at Fort Concho from 1869 to 1885, comprising half the soldiers stationed at the post. 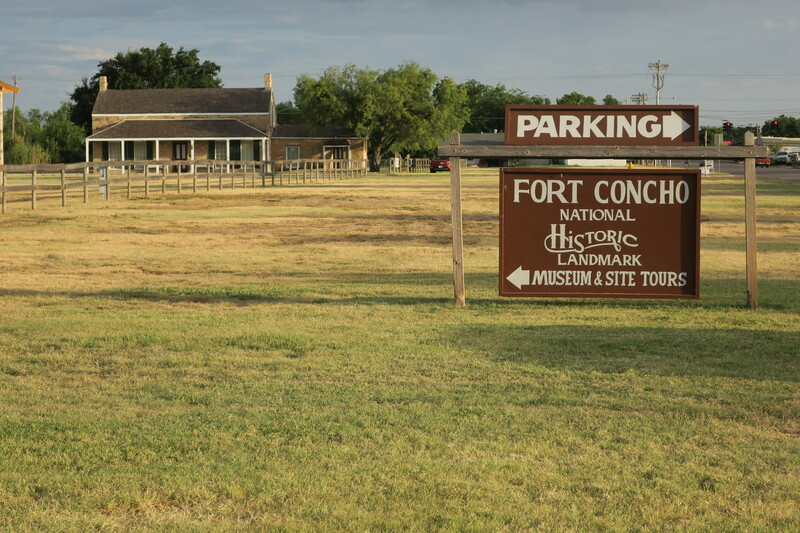 Fort Concho, in modern-day San Angelo, was built after the Civil War to establish law and order and to protect settlers from Indians. I had heard about the Buffalo Soldiers but did not know much about them. So, I was excited to attend Langellier’s talk. The contribution of these tough soldiers to the westward expansion of our nation must not be underestimated. 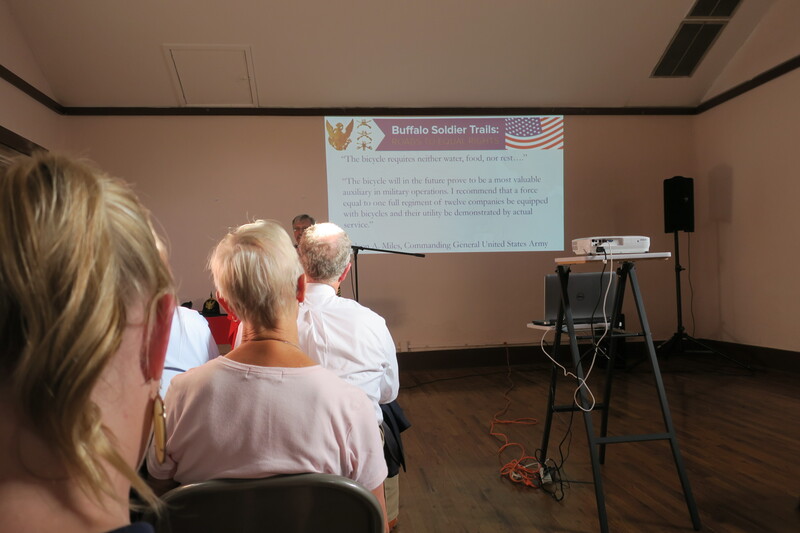 Buffalo soldiers did everything from building roads to patrolling the frontier to a variety difficult civil and military tasks. Additionally, they distinguished themselves in campaigns against numerous Indian tribes. The most amazing thing I learned about Buffalo Soldiers was the history of the all-black 25th Infantry Bicycle Corp. At a time when the military did not want to spend money providing horses for these black soldiers, a white lieutenant names James Moss persuaded the military to provide them with bicycles. The military agreed and provided the Buffalo Soldiers with heavy duty bicycles made by the Spalding Company. To show the practicality of the bicycle for military use, Moss organized a ride from Fort Missoula to Yellowstone National Park and back again — a trek of 800 miles over rugged terrain. He later organized a 1,900 mile ride from the fort to St. Louis. All of this at a time when there were few roads, bicycles were terribly heavy and had a single gear, and the men had to strap all of their gear to their bicycles. 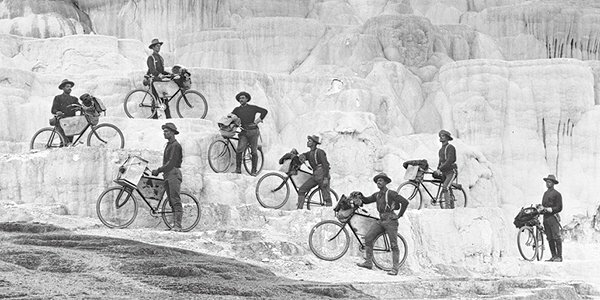 Amazing does not begin to describe the achievements of the bicycle regiment — a testimony to just how tough the Buffalo Soldiers were. 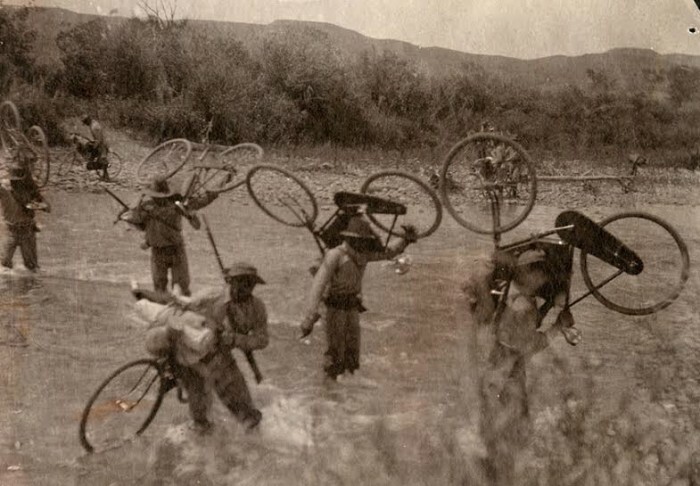 As a mountain-biker who owns a pretty decent bike with lots of gears and suspension to make riding the trails easier, I have the deepest respect for the Buffalo Soldier cyclists. Wow! These guys were the definition of what it means to be tough. 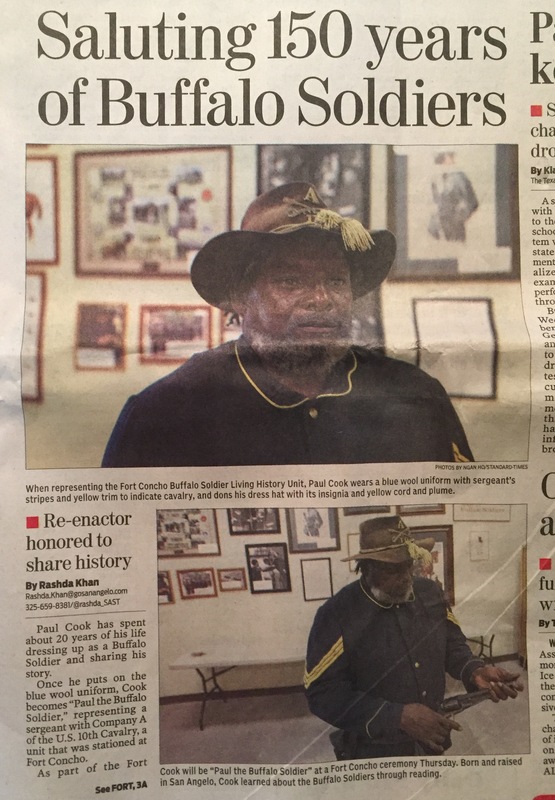 Buffalo Soldiers are an important part of our history. Their history is part of the fabric of our rich Texas history and deserves to be told and retold to future generations. They helped to ensure the settlement of frontier regions of Texas and beyond. 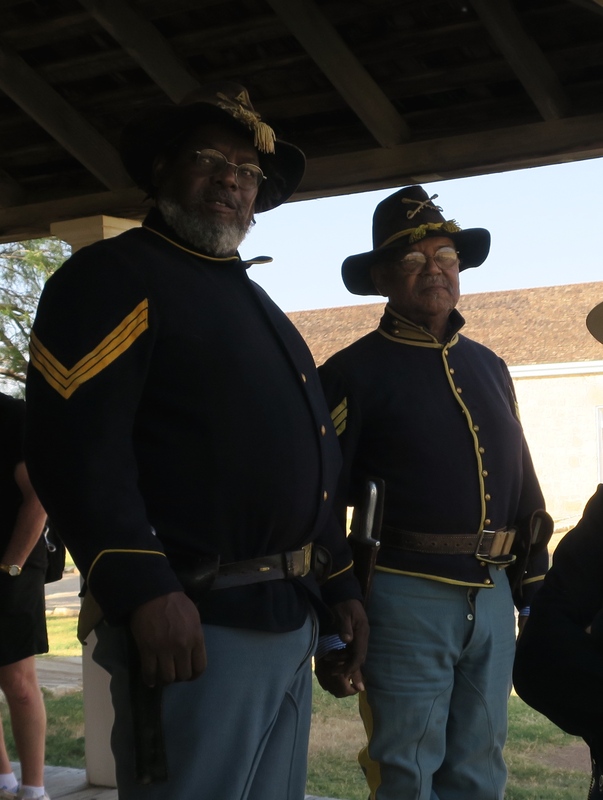 Happy 150-year anniversary to the Buffalo Soldiers of yesteryear! From earliest days, people have been compelled to record their history — the stories of how they lived, what they experienced, and what they accomplished. 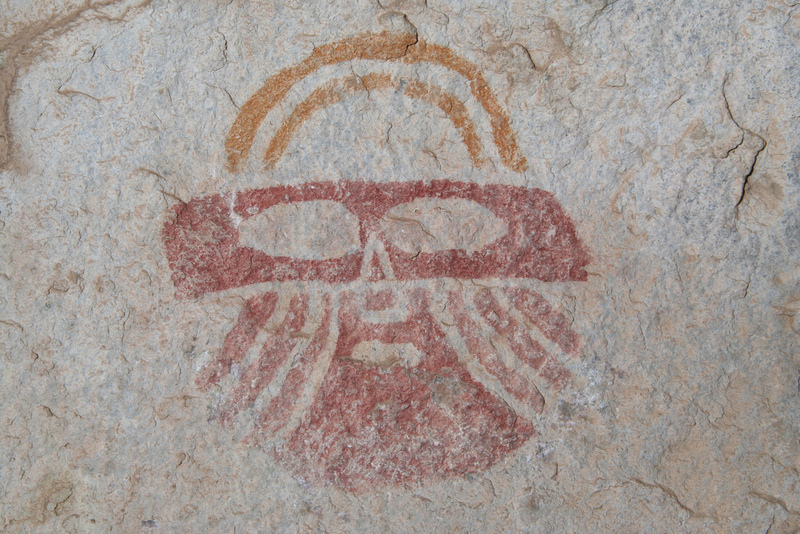 Ancient peoples cleverly devised ways to tell their stories. The Egyptians painted hieroglyphs. The ancient Khmer empire recorded their history in the bas reliefs of Angkor Wat. 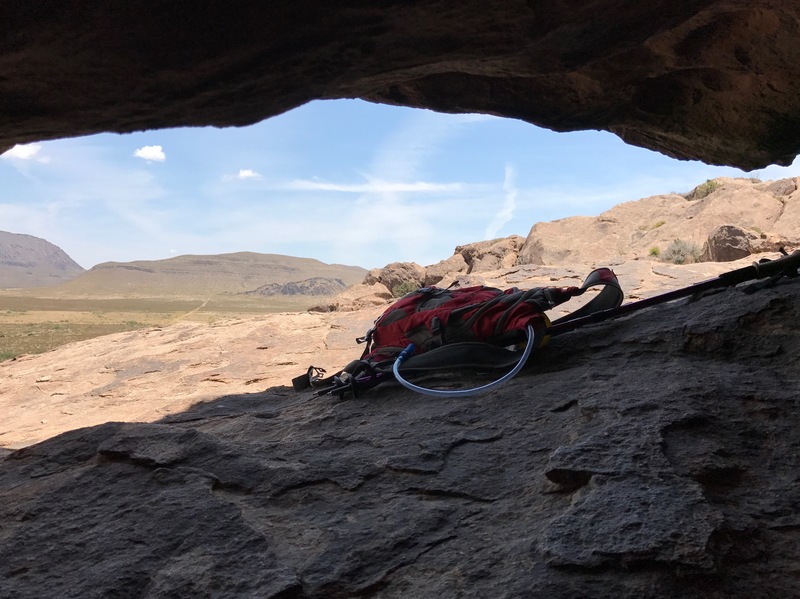 Ancient cave dwellers left pictographs of animal and human figures, handprints, and curious geometric shapes on cave walls. Even ancient peoples understood that history provides context to our existence. History helps us understand how our own personal stories fit into the larger narrative. Each of us are, after all, shaped by what happened before us and have the capacity to influence what happens after us. We can add to the narrative of history. 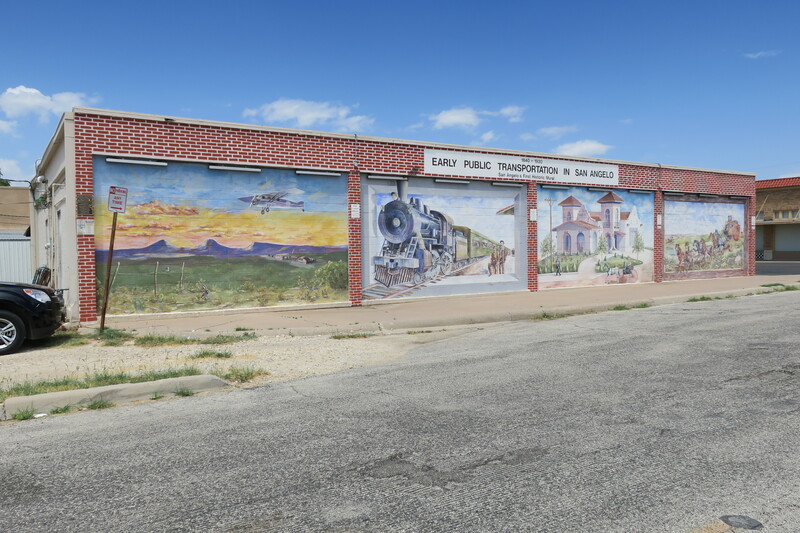 One of the coolest examples of recording history is found in the city of San Angelo. 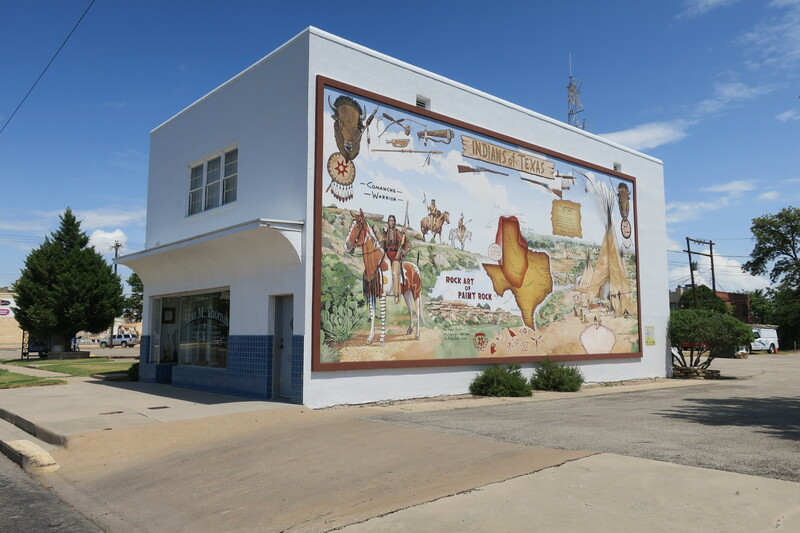 Situated along the Concho River, this Texas town is steeped in western history. 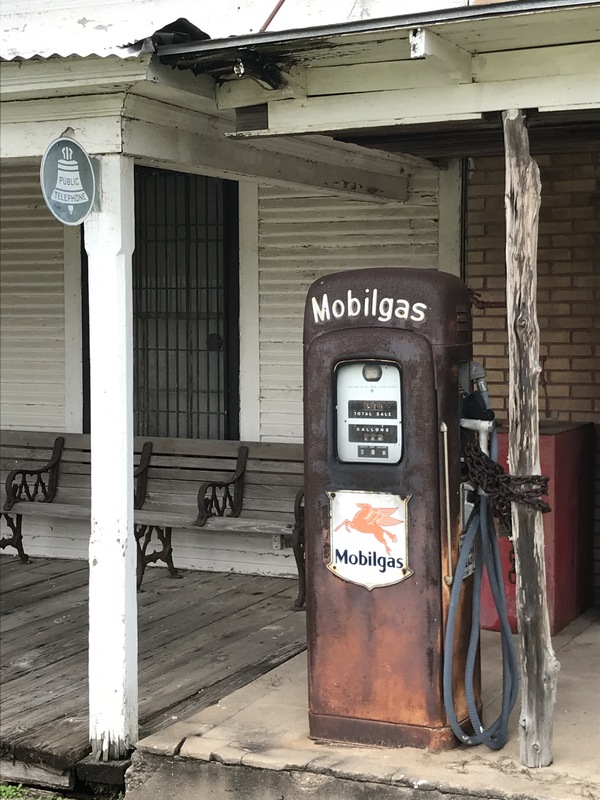 San Angelo is unquestionably proud of its western heritage and dedicated to preserving and sharing its history and culture. 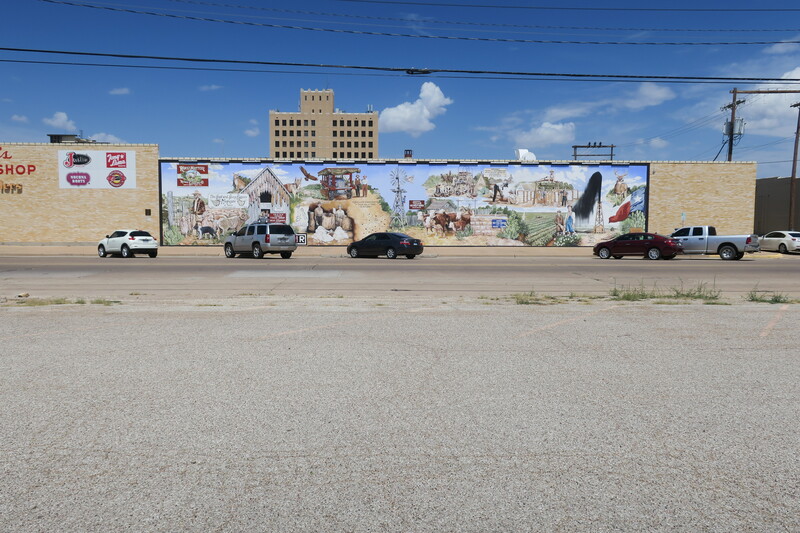 Their specific platform for achieving their mission: larger-than-life murals to “expose as many people as possible to the history of San Angelo.” Today, the magnificent history-intensive works of art are on permanent public display on the brick and mortar canvases of the city’s downtown buildings. These history-themed murals certainly pique interest in the city’s past. However, to make the learning experience even more enriching, Morris’ educational organization has added an additional component — a self-guided cell phone tour. Each mural has a designated number that you can dial to hear an audio recording with detailed historical information. Brilliant! 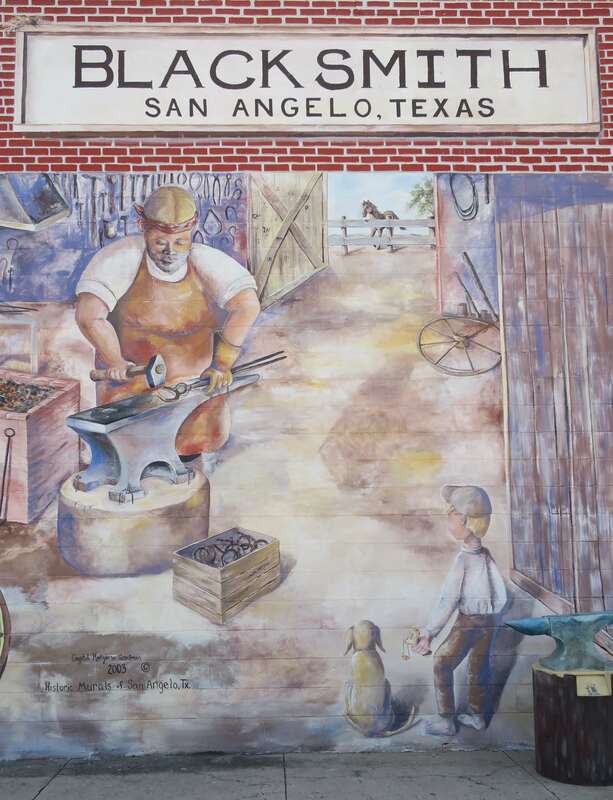 If you have never visited San Angelo you will be pleasantly surprised. 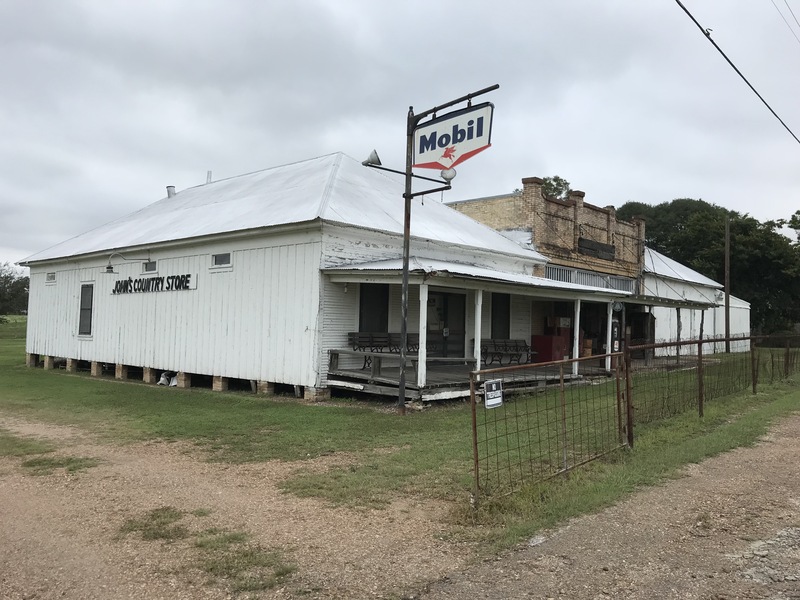 It is now on my list of favorite Texas towns. This place has a lot to offer — historic places, a beautiful river walk, lots of interesting restaurants, great shopping, and a whole lot more. 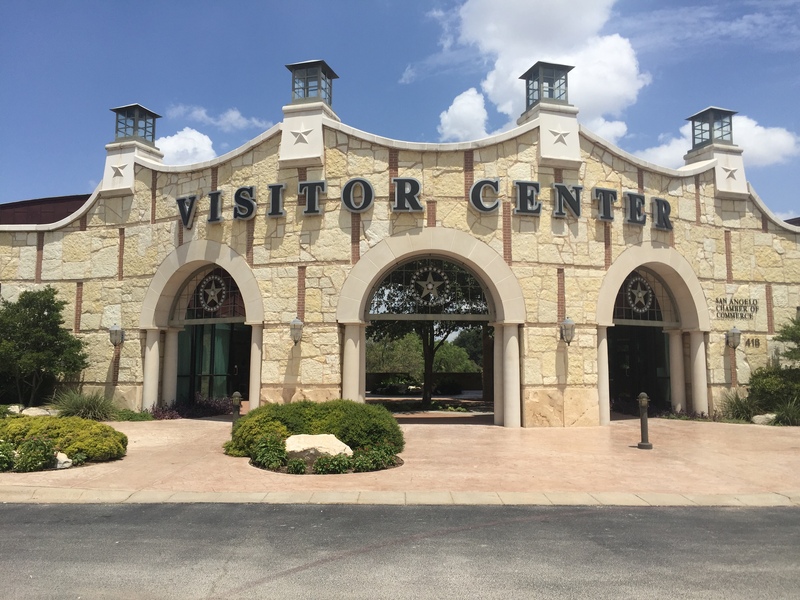 Start your visit at the beautiful Visitors Center that overlooks the Concho River. The friendly folks there can get you started on your tour of the murals. There are currently a dozen murals with more in the works. You can either drive or walk to each mural since they are all clustered within a few city blocks of each other. 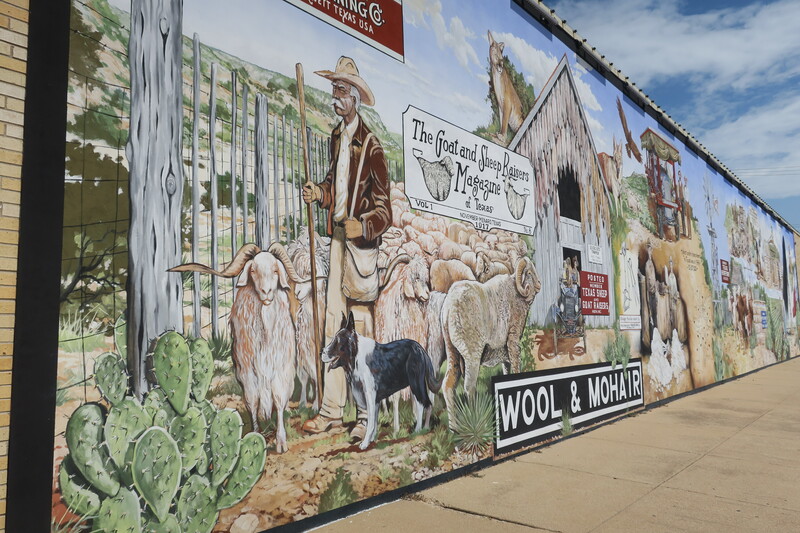 Kudos to The Historic Murals of San Angelo and their team of directors and artists. 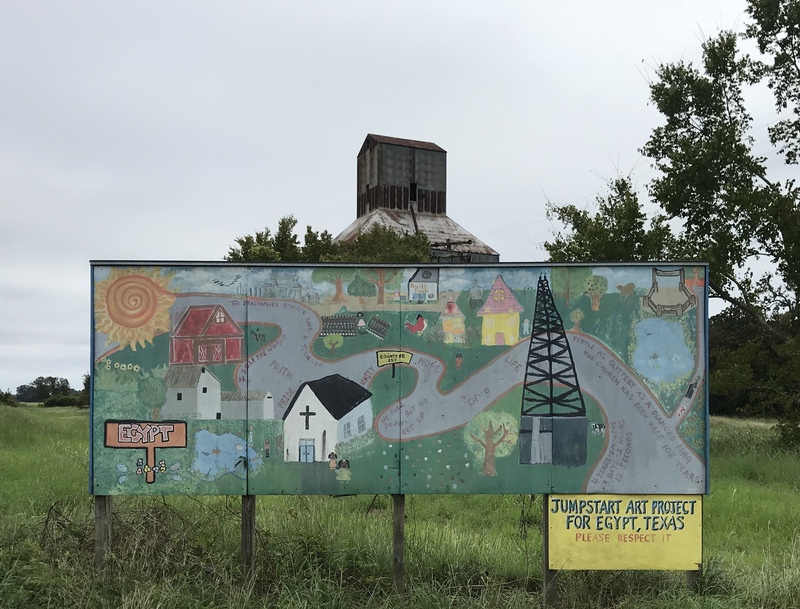 They have given a gift to both residents and visitors alike, one that will continue to educate and inspire others into the coming generations. Thanks for putting your rich history on display. 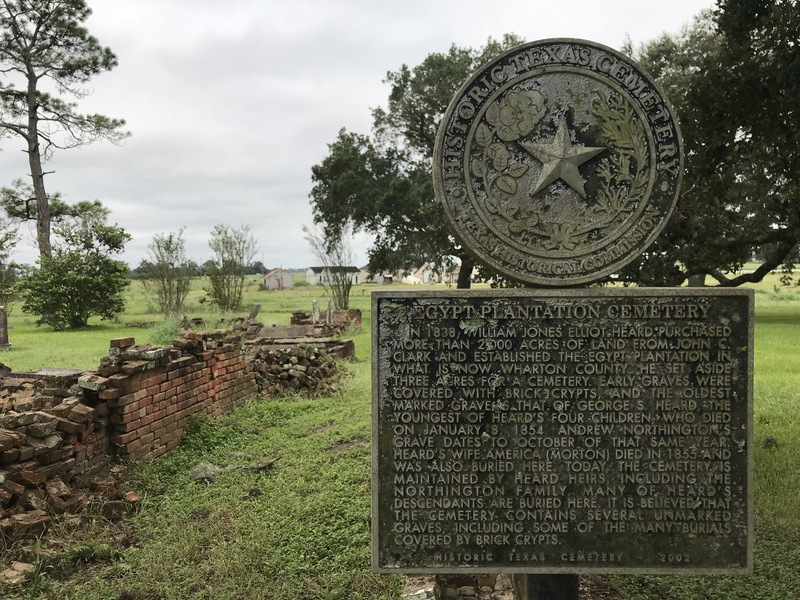 The area around Goliad is rich in Texas history. The Goliad Massacre, regarded as the darkest day in Texas history, took place at Presidio La Bahia. On March 27, 1836, Colonel James Fannin and 342 of his men were put to death under orders of Mexican General Santa Anna. 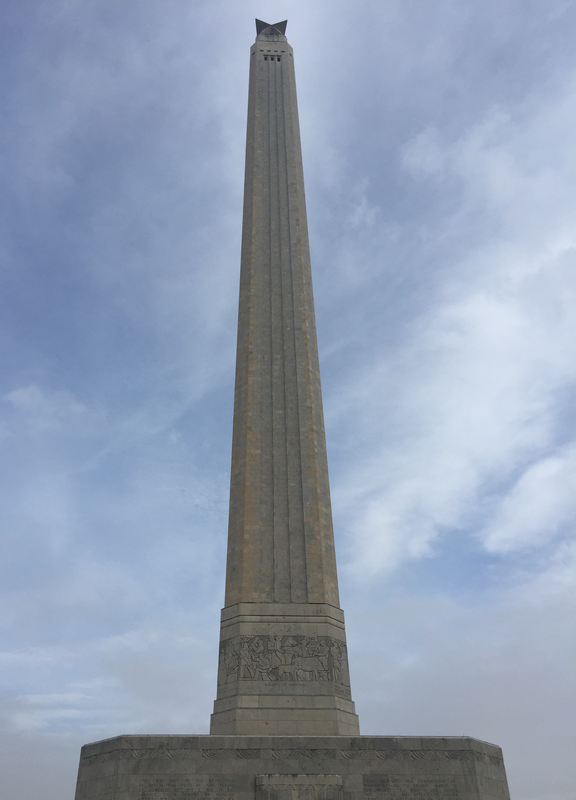 Texans were so outraged that they embraced the battle cry “Remember Goliad” and vowed to win the war for Texas independence. Less than one-quarter mile from Presidio La Bahia is Mission Nuestra Señora del Espíritu Santo de Zúñiga. 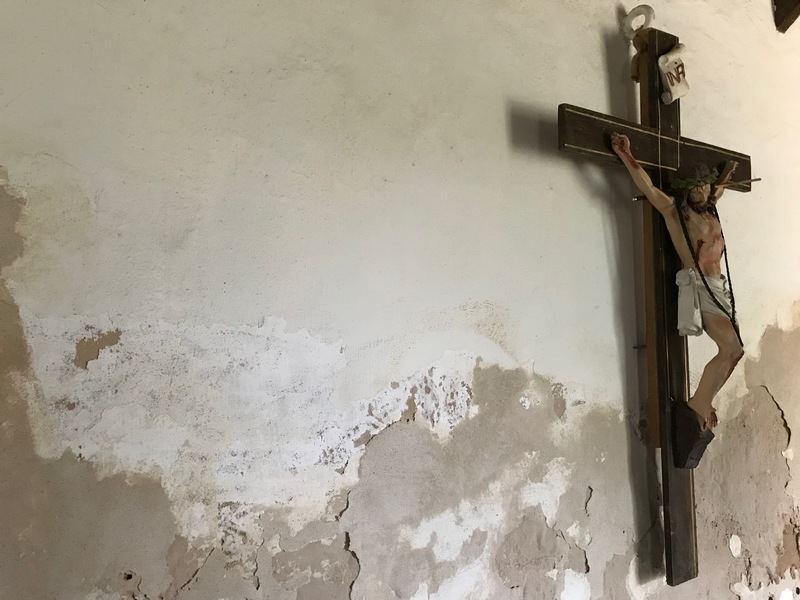 This spiritual outpost was established by Franciscan priests. 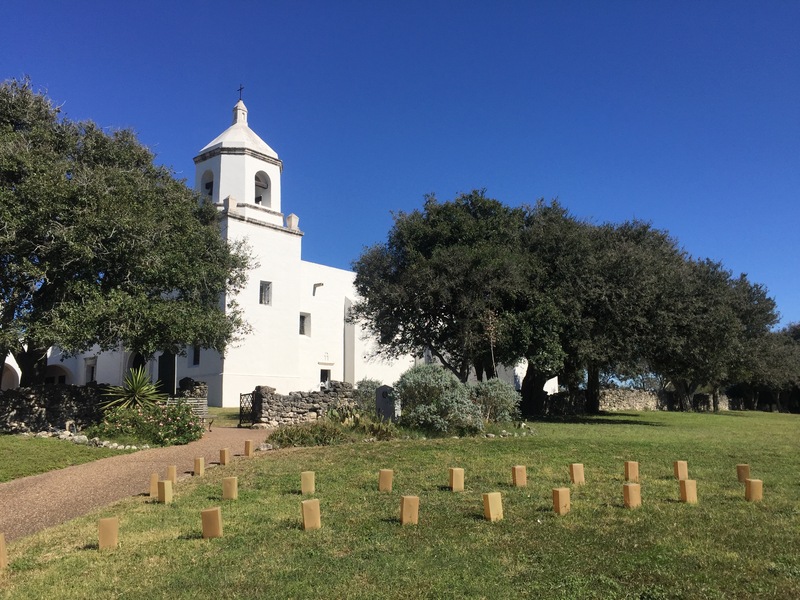 The first mission was built at Matagorda Bay in 1722 adjacent to Presidio La Bahía. 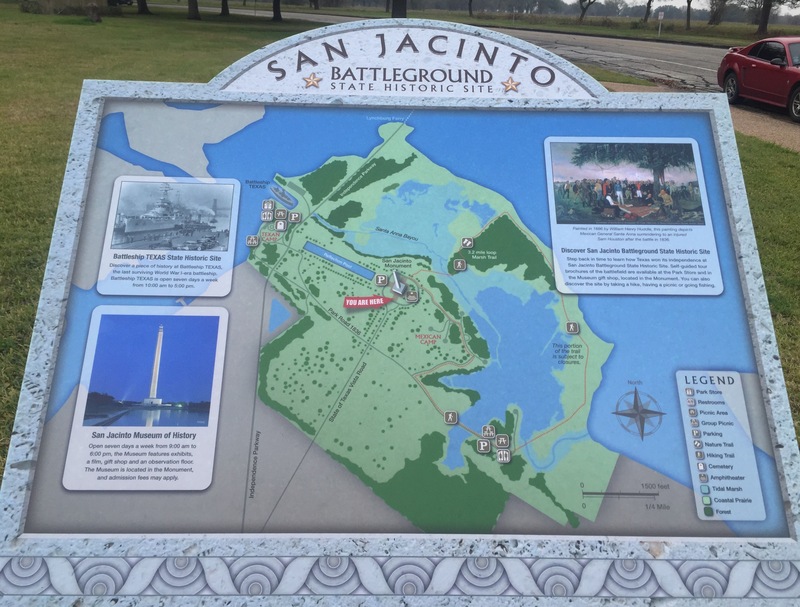 In 1749, both the mission and the fort were relocated to their present sites on opposite banks of the San Antonio River and near Camino La Bahía, a major Spanish trade route. The Franciscan priests reached out to the native Aranama peoples and involved them in life at the mission. Under the supervision of the priests, the Indians worked with cattle, tilled the soil, learned to build with stone and mortar, spun wool for clothing, and made clay pots. Ranching, however, eventually became the main occupation at the mission and the indians became accomplished vaqueros (the original cowboys). By 1830, the mission was forced to close because of declining Indian populations and lack of money. In 1886, a hurricane destroyed what was left of Mission Espíritu Santo. 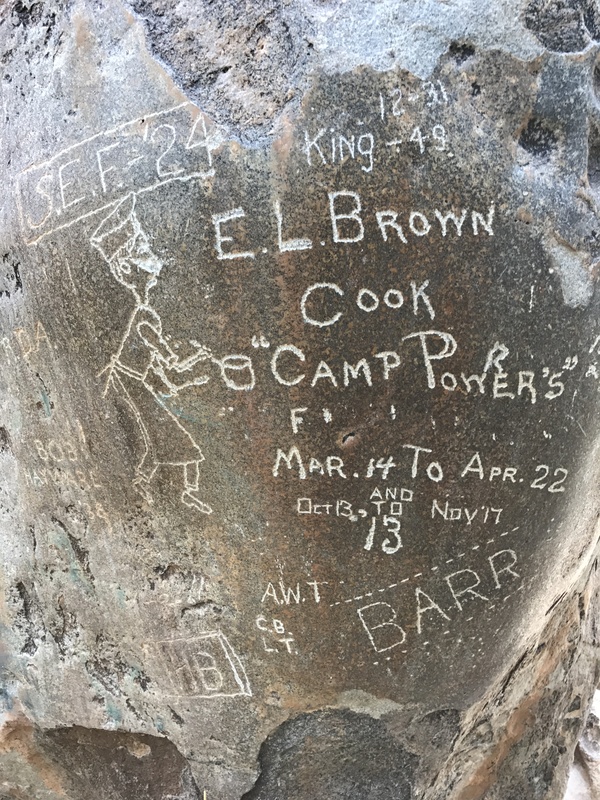 In the 1930s, the Civilian Conservation Corps was tasked with the reconstruction of the historic mission complex and the nearby Presidio La Bahia. Along with the restoration work, archeologists excavated the site and uncovered artifacts from the original mission structure. These are now on display at the site. The mission received a historical park designation in 1931 and is today listed in the National Register of Historic Places. 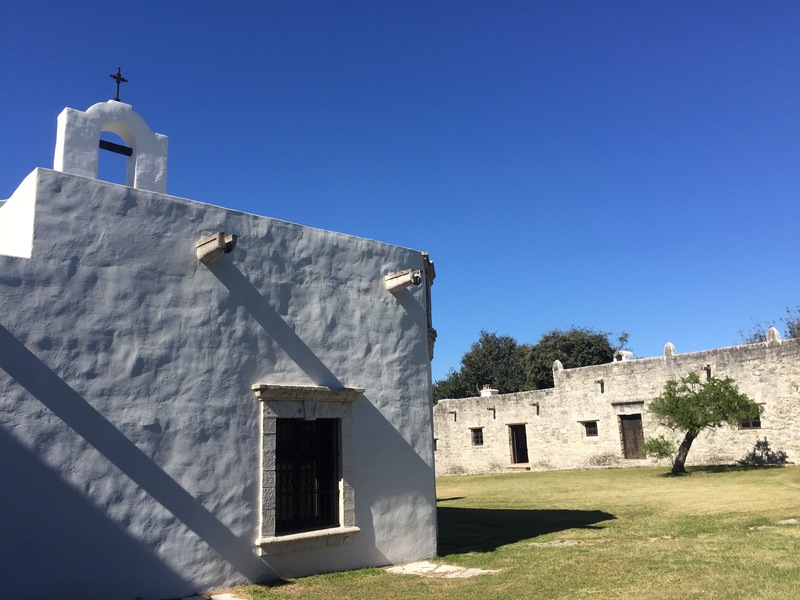 Mission Espíritu Santo is part of Goliad State Park and Historic Site. 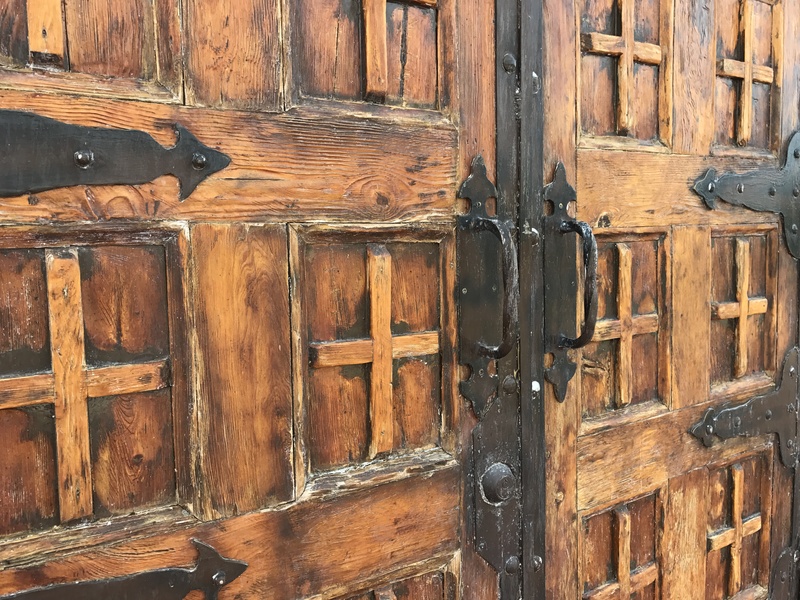 You can take a self-guided tour of the mission’s church and grounds, the focal point of the park. Park personnel and volunteers are available to answer your questions and to give you insight into what life was like at the mission. Also, there is an informative museum adjacent to the church. 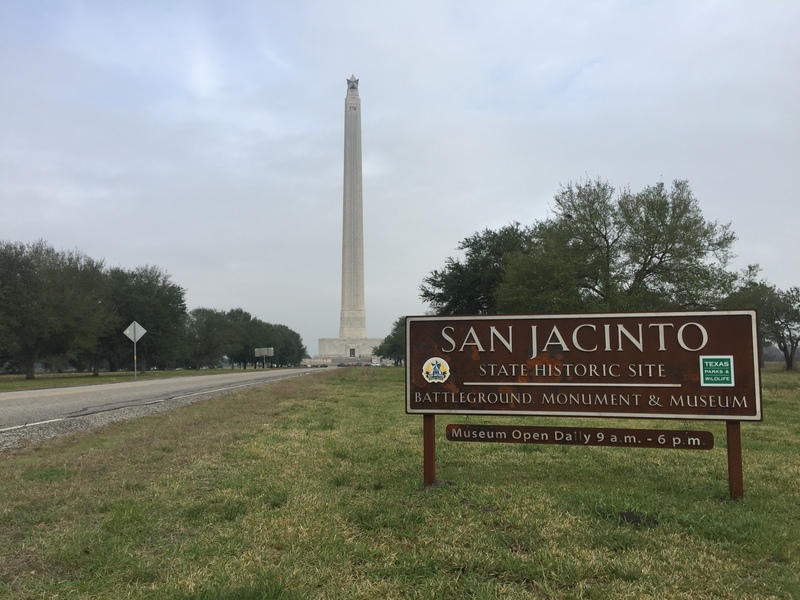 I encourage you to add this beautiful and historic site to your list of places to visit in the Lone Star State. On February 23, 1945, Associated Press photographer Joe Rosenthal captured a unique moment in time at the Battle of Iwo Jima. 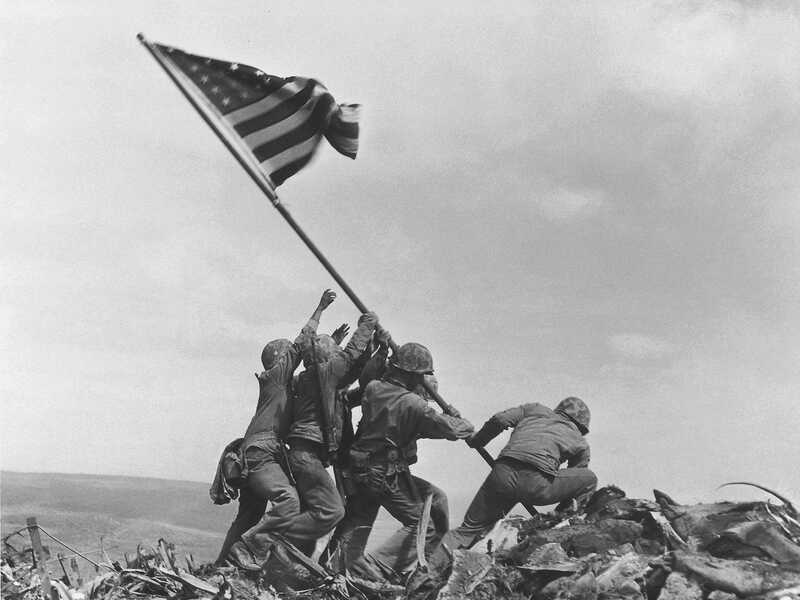 Rosenthal’s photograph of the Marines of Company E, 2nd Battalion raising the American flag atop Mount Suribachi endures as one of the greatest war photographs in U.S. history. His image resonated with the American people and became an iconic representation of the fierce resolve of the greatest generation to fight for the preservation of our democratic way of life. 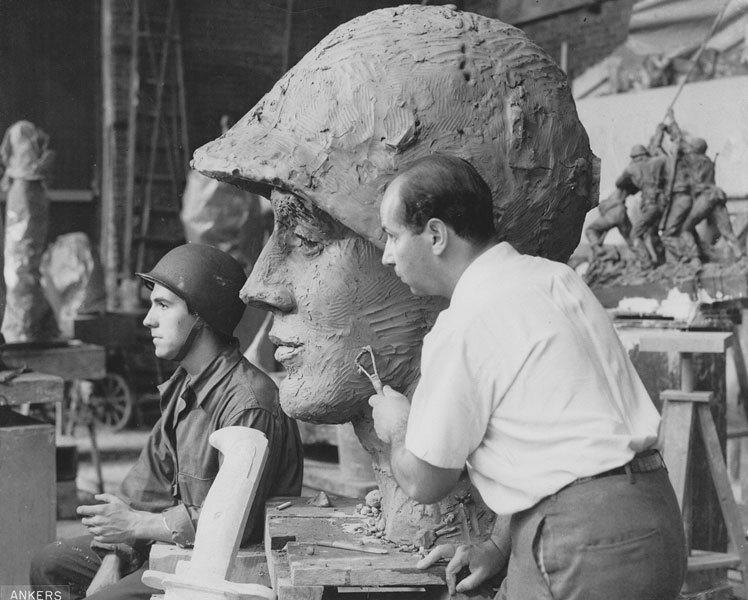 Rosenthal’s photograph stirred the heart of a sculptor named Dr. Felix W. de Weldon. On duty with the U.S. Navy at the time Rosenthal’s photograph was released, Dr. de Weldon immediately constructed a small scale model of the scene. After the war, he worked for nine and a half years to depict the scene on a more massive scale. Once Dr. de Weldon completed the plaster model, he spent an additional three years overseeing the bronze casting process. After the massive sculpture was completed, the various parts were shipped to our nation’s capital and assembled at Arlington National Cemetery. President Dwight D. Eisenhower officially dedicated Dr. de Weldon’s bronze memorial on November 10, 1954 — the 179th anniversary of the U.S. Marine Corp. 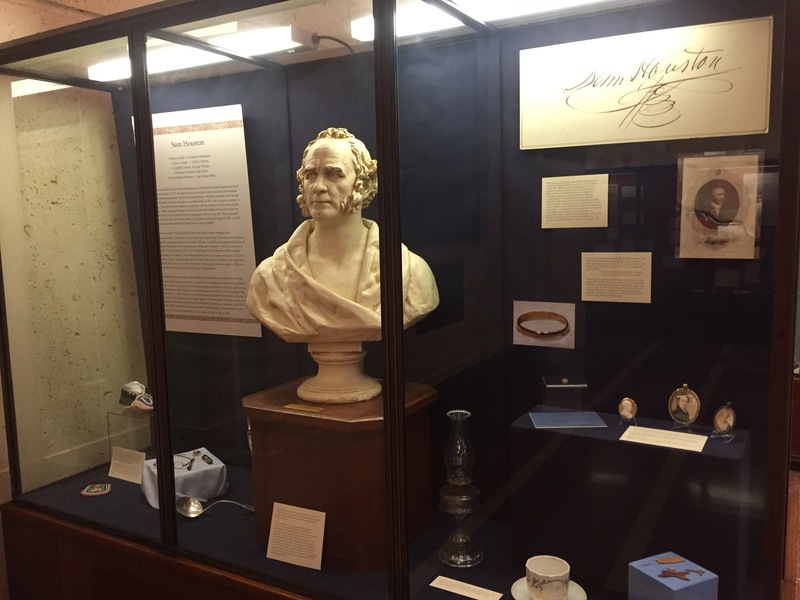 The working model of the memorial was stored at Dr. de Weldon’s summer home and studio in Newport, Rhode island. In October 1981, Dr. de Weldon gave this full-sized working model to Marine Military Academy in Harlingen, Texas. 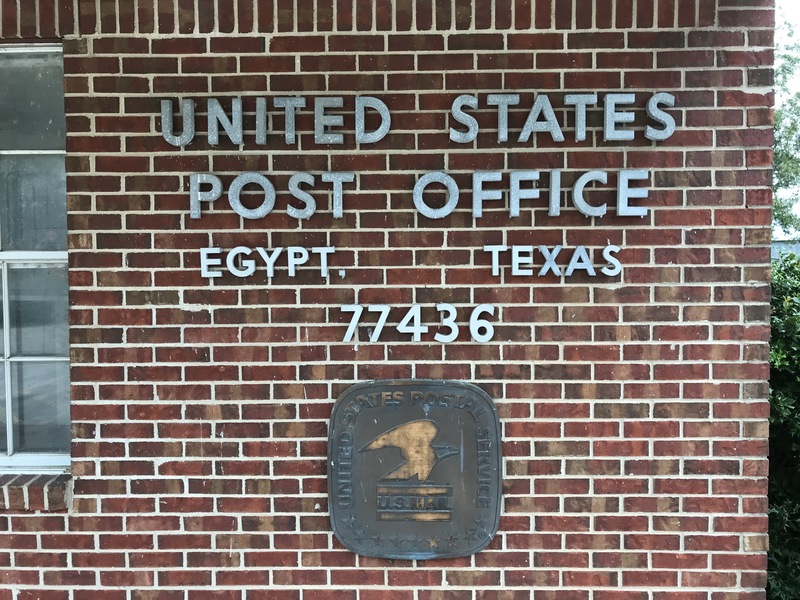 Dr. de Weldon felt that the climate at this South Texas location was ideal for the preservation of the molding-plaster figures. 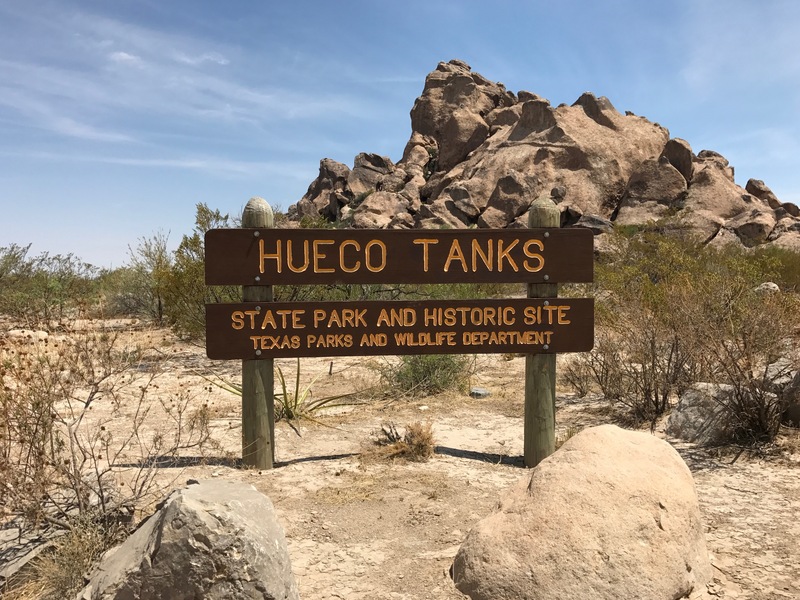 The fact that Corporal Harlon H. Block, the Marine placing the flagpole into the ground, was a native of the nearby town of Weslaco also influenced Dr. de Weldon’s decision about where his sculpture should permanently reside. Block was killed at Iwo Jima just six days after the flag raising. His gravesite is located behind the monument. 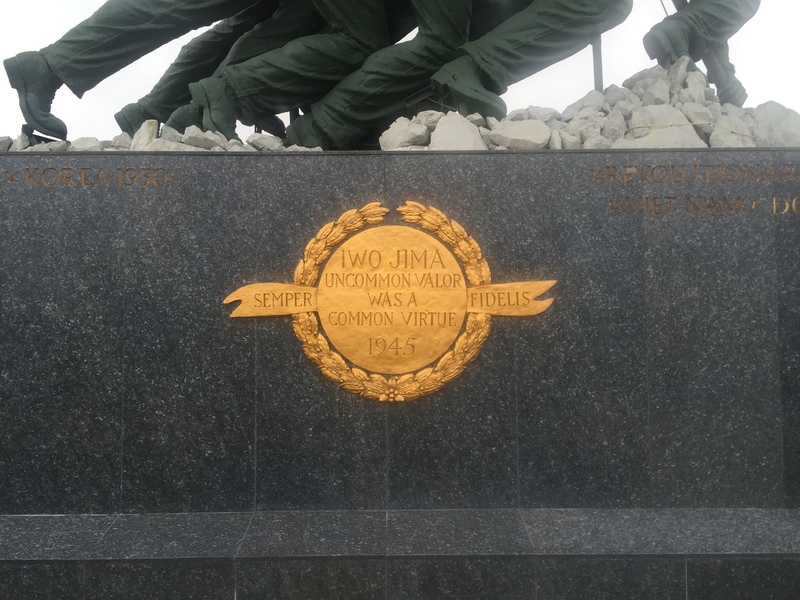 The massive sculpture, dedicated April 16, 1982, is situated on the Marine Military Academy Parade Ground. 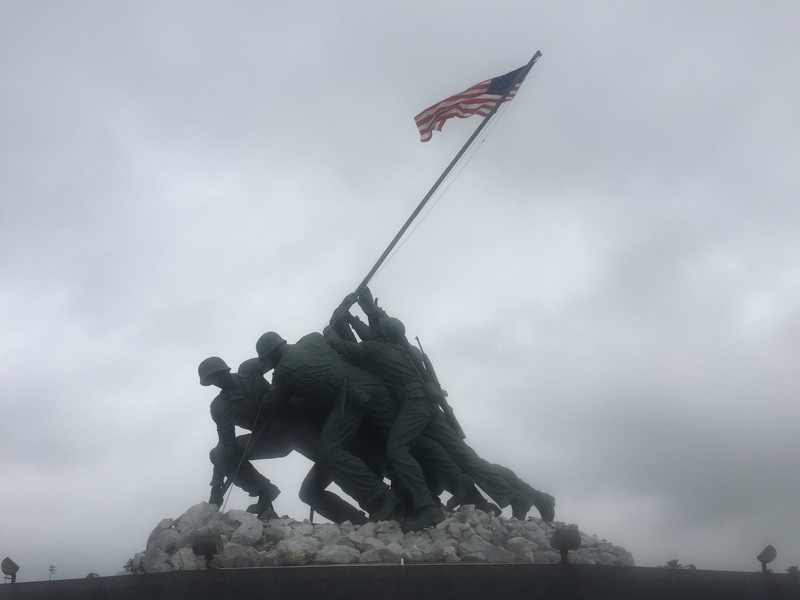 When my wife and I drove to Harlingen to visit the Iwo Jima Monument and turned onto Iwo Jima Boulevard, our first sight of the monument caught us completely off guard. Our jaws dropped at the inspiring sight of this moment in time captured by a war photographer and sculpted by a Navy veteran. Dr. de Weldon hoped that his gift would serve as an inspiration to the young cadets at Harlingen’s Marine Military Academy. There is no doubt that it has done just that. But his gift also serves as an inspiration to the many visitors who travel to Harlingen from all over the country to see this magnificent memorial to a time when uncommon valor was a common virtue. 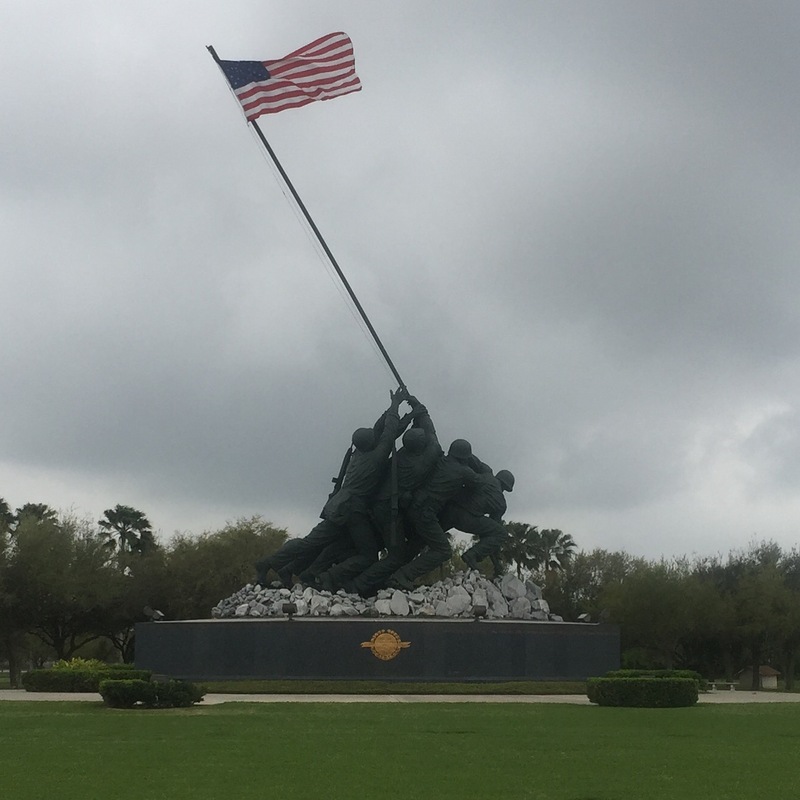 If your travels take you anywhere near South Texas, make it a point to drive whatever extra miles you need to in order to visit the Iwo Jima Memorial and Museum at Marine Military Academy in Harlingen. Those of us who enjoy the blessings of living in the United States of America certainly owe a debt of gratitude to the men and women of the greatest generation for their courage and sacrifices. I am thankful for Joe Rosenthal and Dr. Felix W. de Weldon for their gift to the American people.